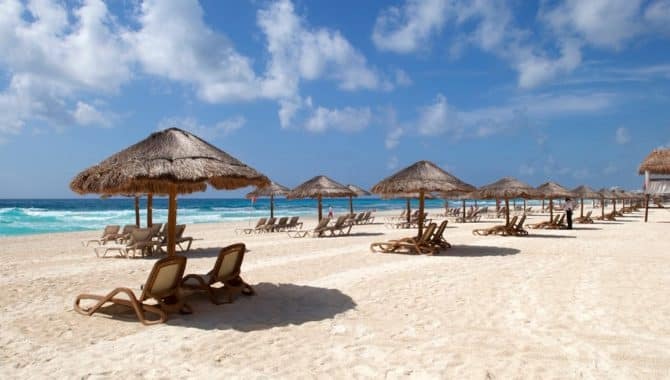 A trip to Cancún isn’t your average vacation—it’s one of the top beach vacation destinations on earth for a reason. 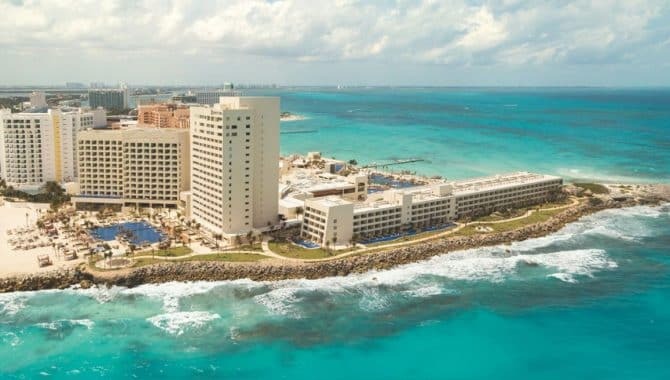 Cancún is brimming with culture, authentic food and ancient history, not to mention the provisions needed to take it all in. 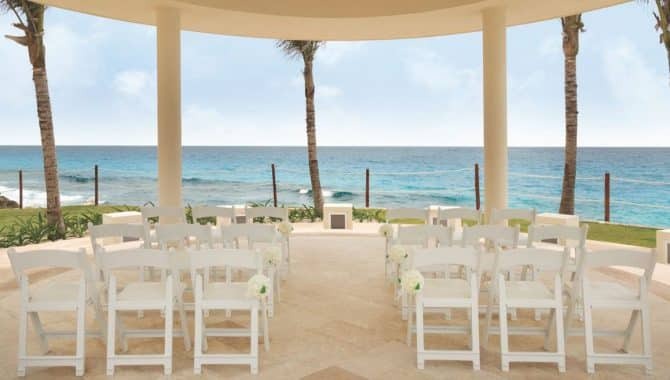 It’s no wonder it’s a popular destination wedding spot. 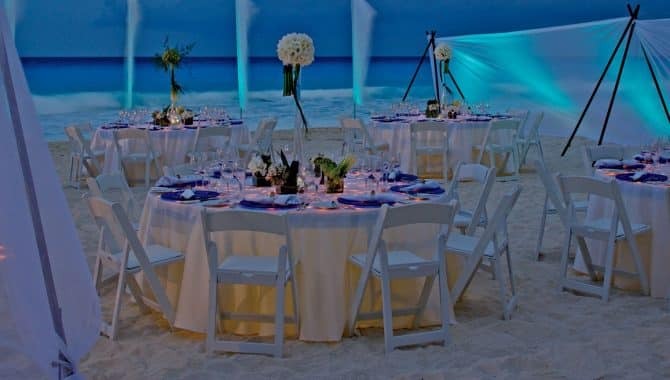 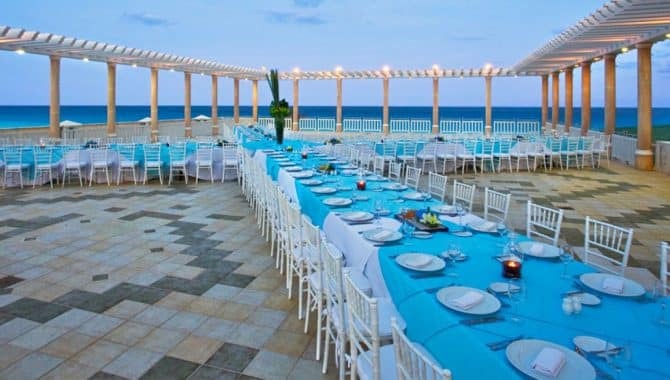 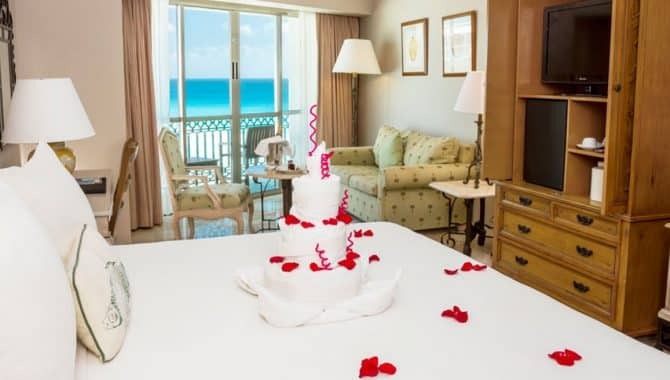 These beach hotels in Cancún have everything you need for the perfect destination wedding. 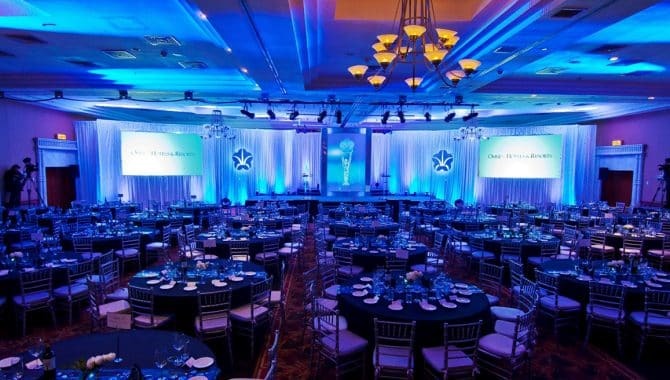 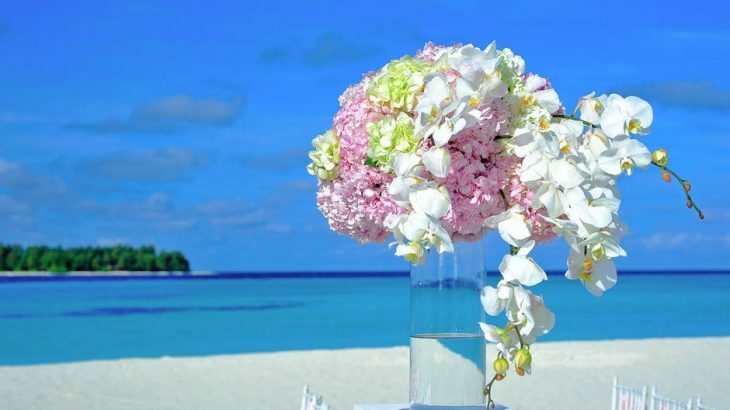 You’ll get a mesmerizing ocean backdrop, plenty of decor themes to choose from and memories to last a lifetime. 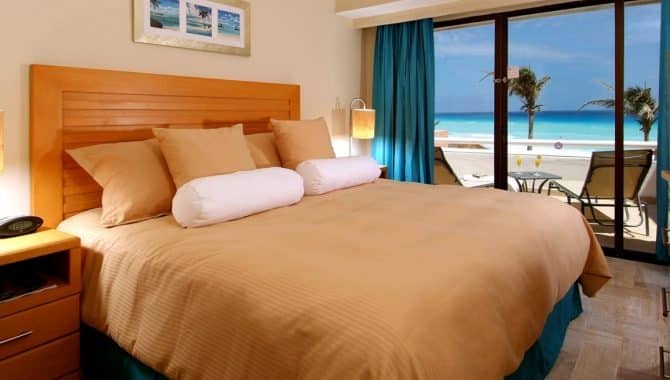 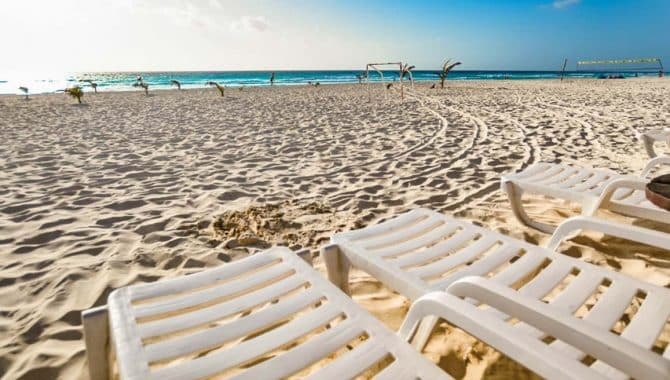 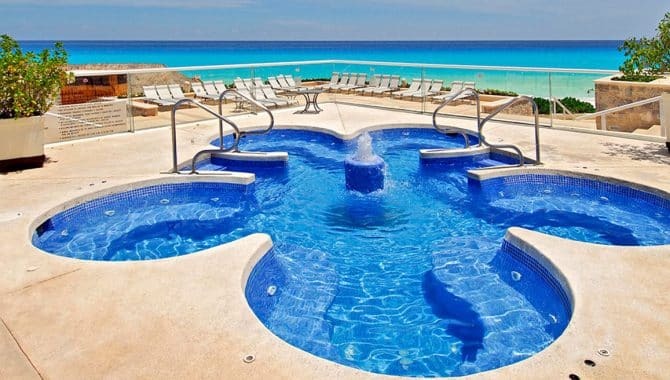 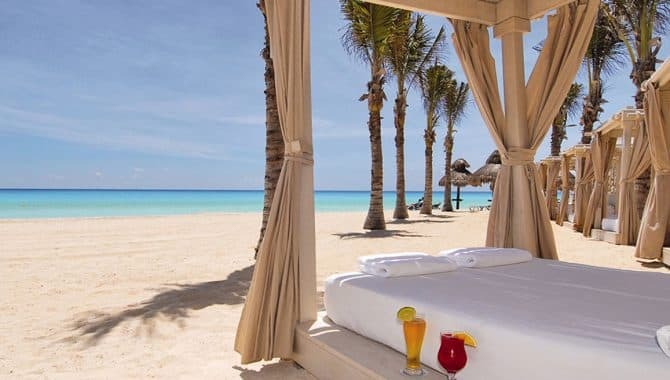 Emporio Hotel & Suites Cancún meets the beach quota with more than 1,000 loungers lining a white-sand, wide beach in the southern end of Cancún’s Hotel Zone. 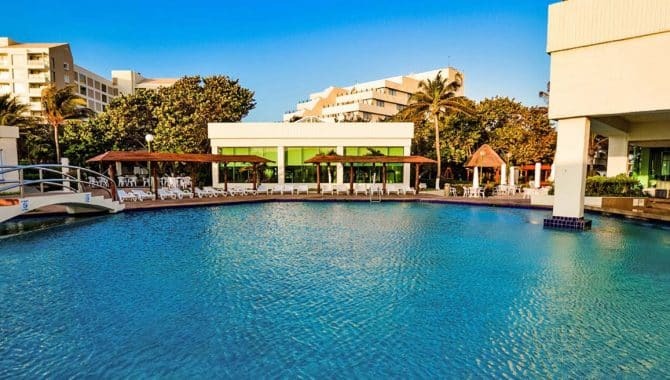 Equipped with a thatched center bar, the centerstage of this bustling all-inclusive-optional resort is the stunning circular swimming pool. 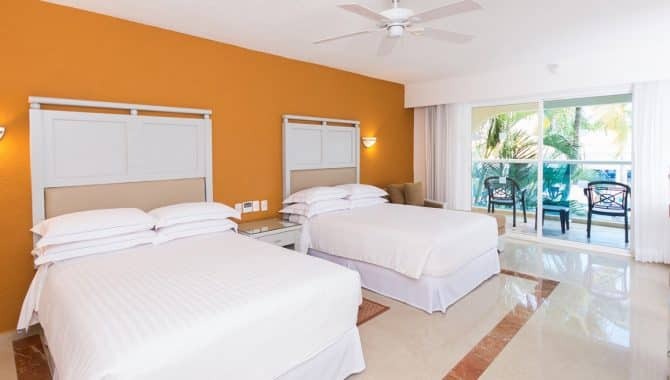 Check into one of the 399 rooms and suites, some with full kitchens, for a laidback vacation with two restaurants and a snack bar. 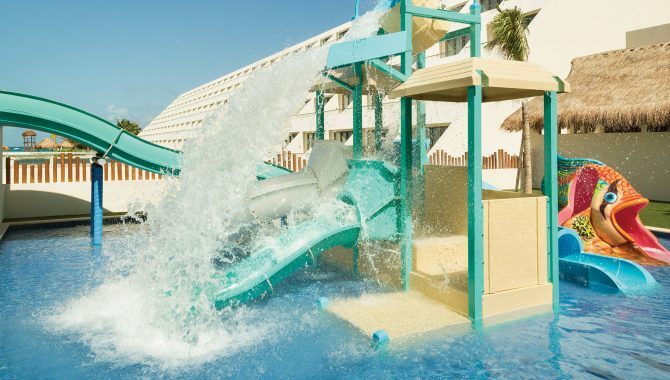 Families will love the resort’s kids’ zones and pool play area. 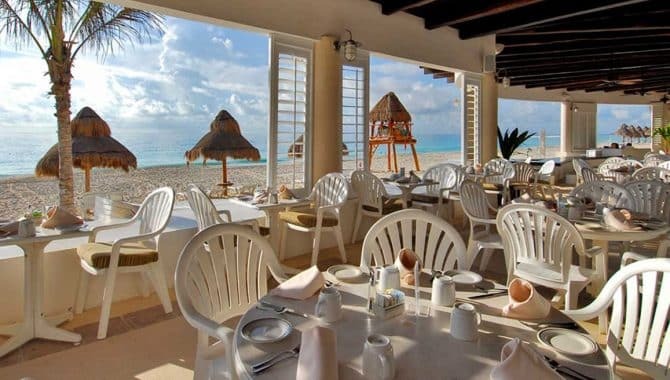 Finest Playa Mujeres truly delivers the finest in beach vacations to Mexico. 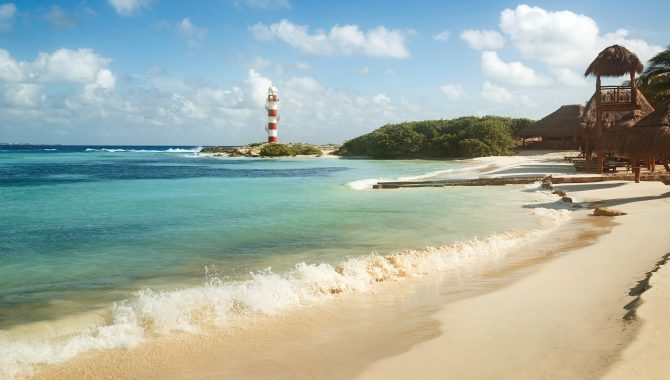 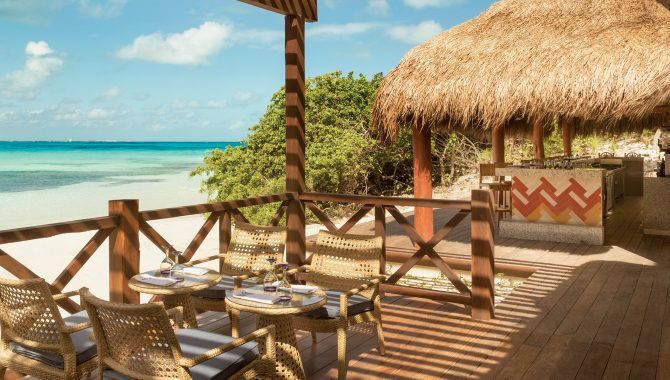 Traveling families need not worry nor couples seeking romance—this beach resort has a space for each of you. 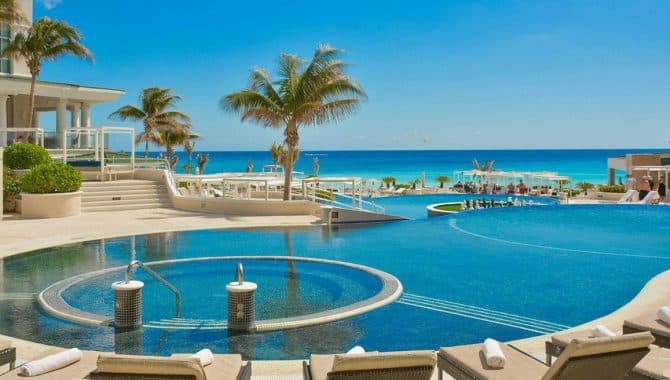 This all-inclusive masterpiece has 10 swimming pools, 11 international restaurants, a fitness center, spa and included activities like yoga, kayaking, snorkeling and beach volleyball. 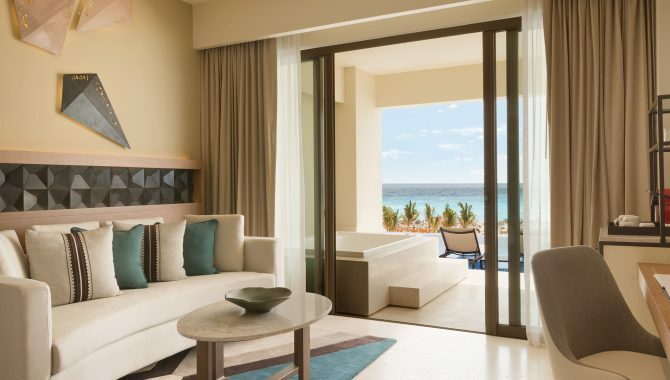 Masterfully-planned accommodations mean families have spacious beds and livable spaces in the Finest Suites and couples have a luxurious adults-only wing of the resort with their own glitzy amenities in the Excellence Club Suites. 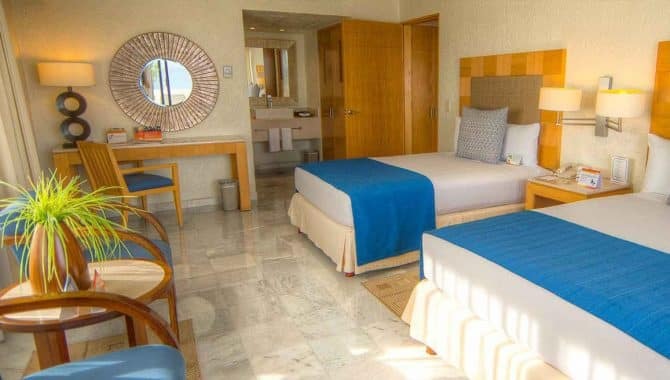 Each room has pillow menus and a fully stocked mini-bar; some suites are swim-up, some have an ocean view, and others have their own private pool. 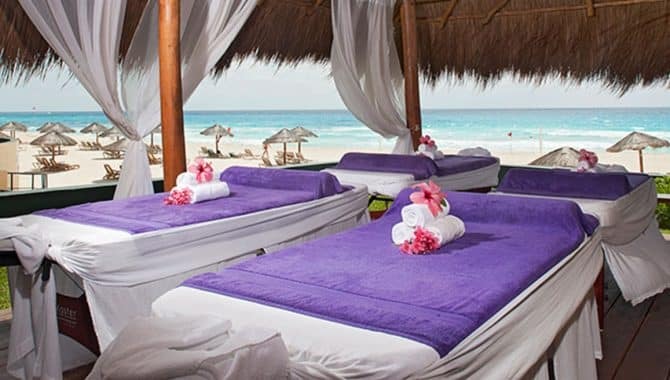 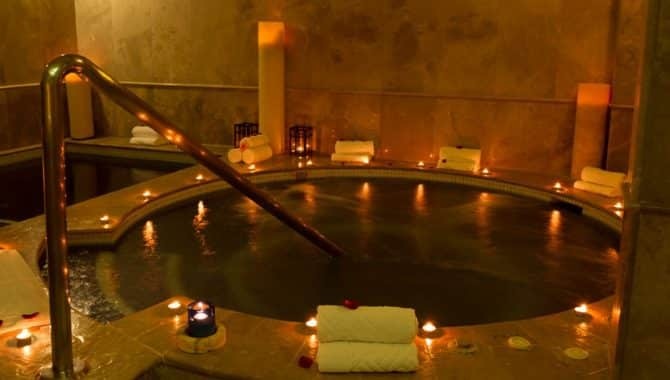 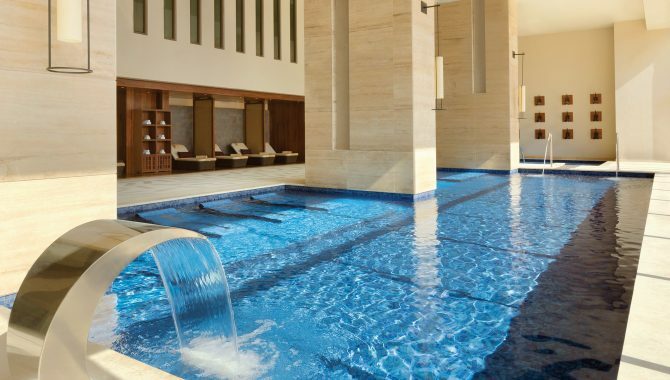 Indulge in a spa treatment, enjoy live nightly entertainment and take a cooking or scuba class. 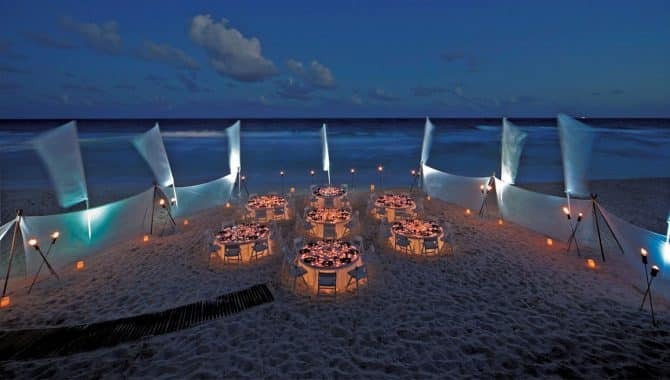 All without a second thought, because all food, drinks, snacks and activities are included. 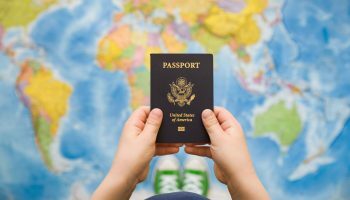 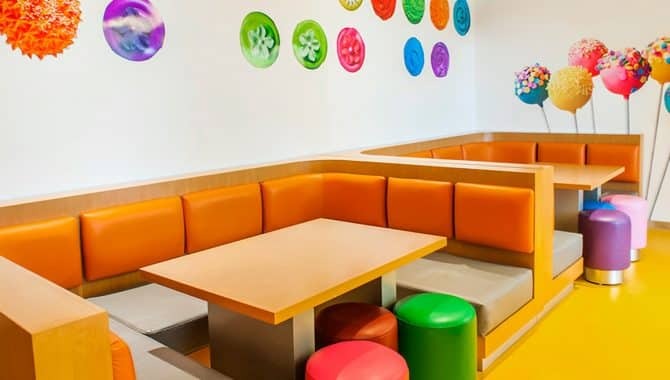 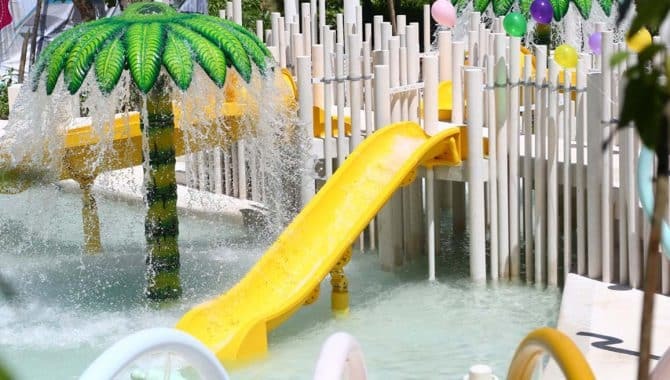 There are dozens of activities for kids of all ages too, so no restless kids will be sitting out while adults have all the fun. 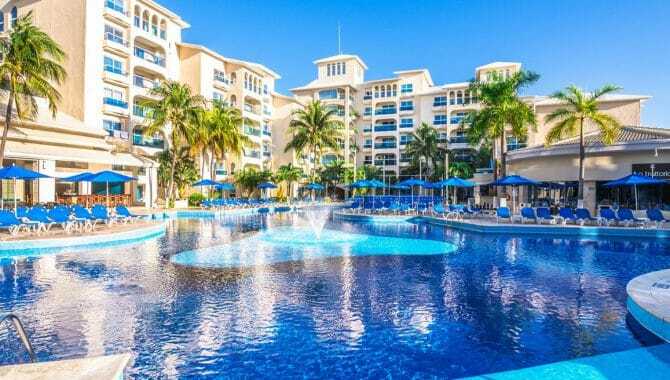 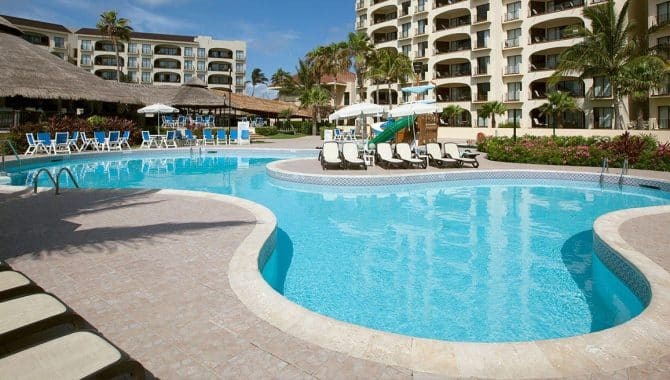 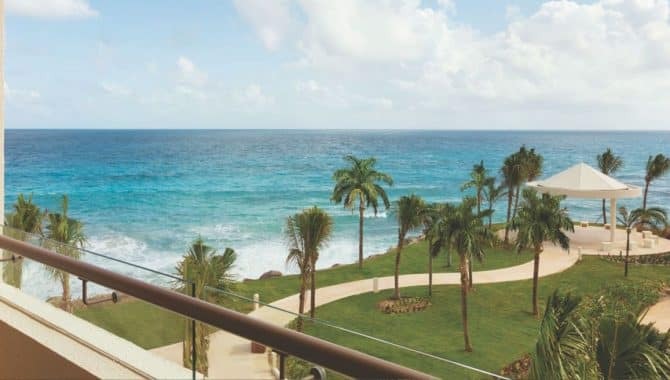 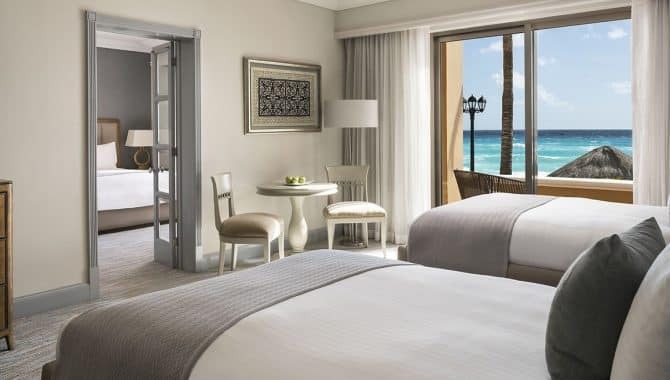 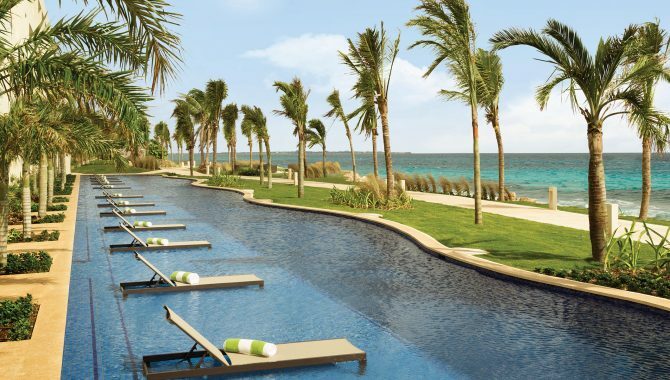 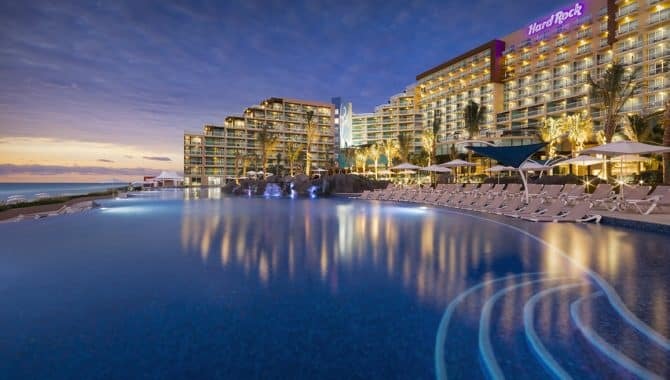 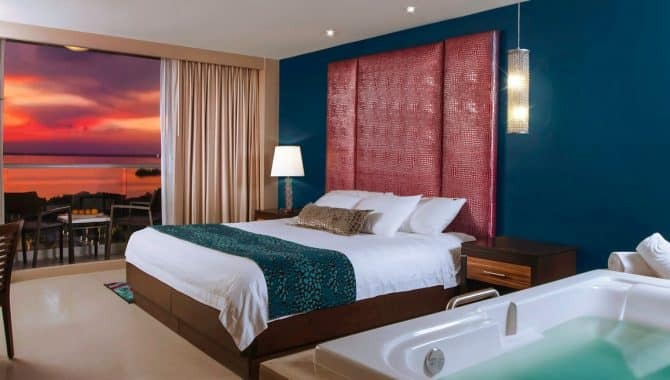 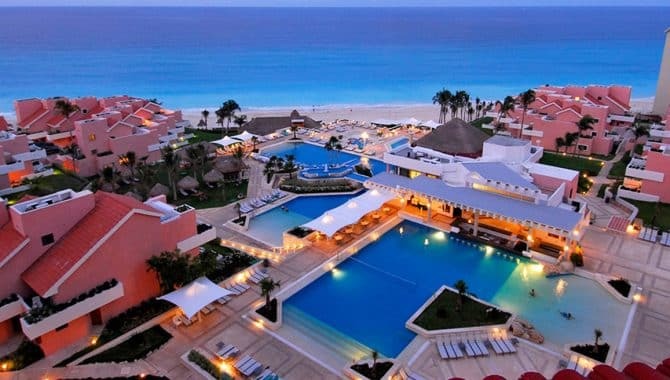 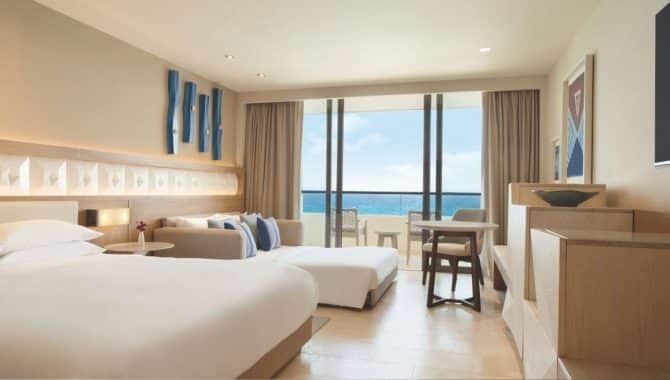 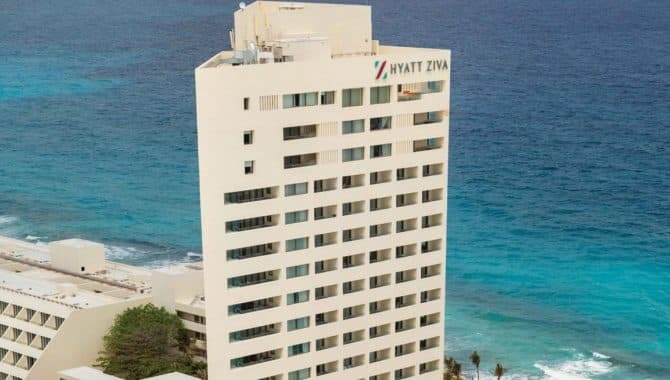 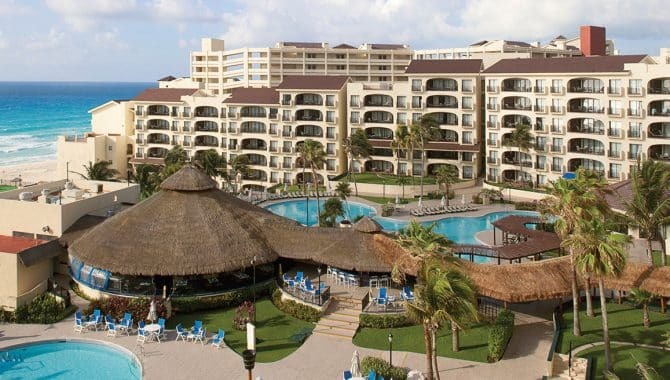 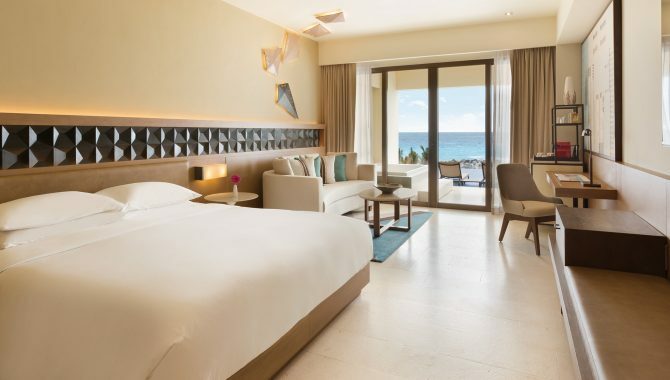 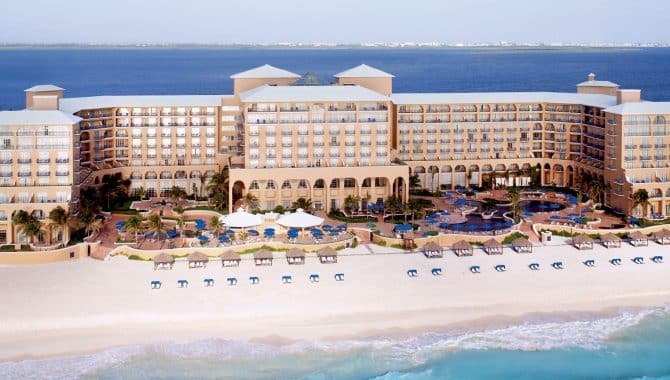 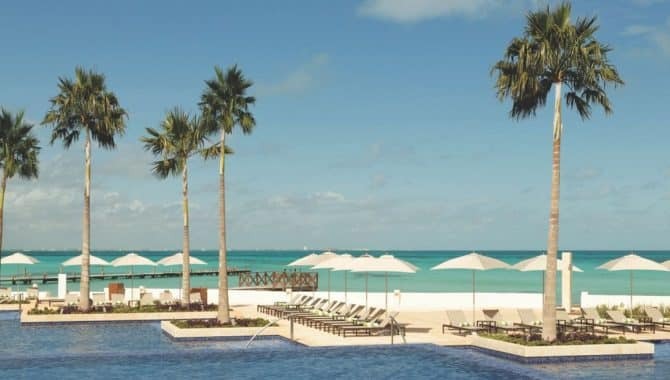 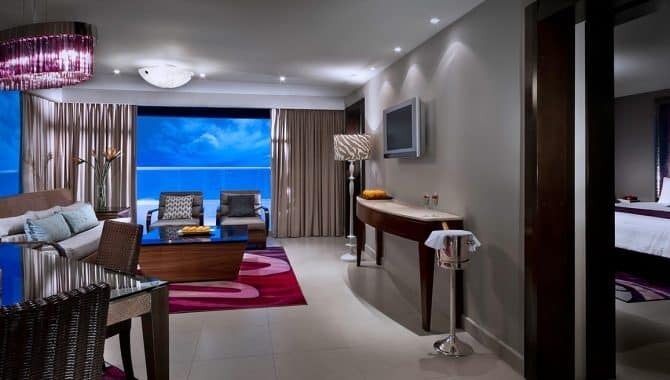 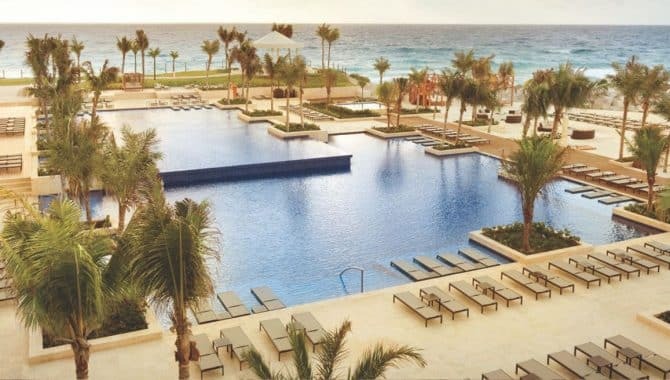 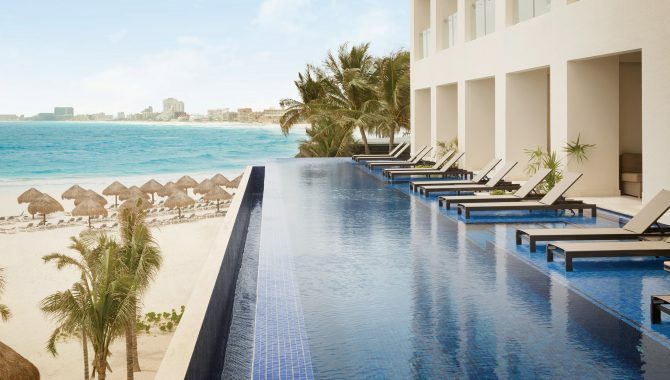 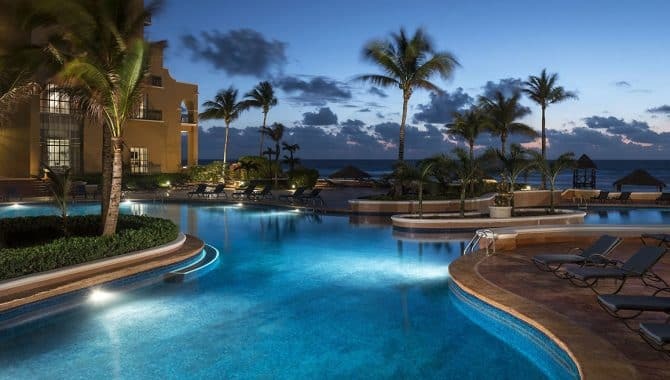 The Hyatt Zilara Cancún resort is geared toward fun loving, luxury beach lovers. 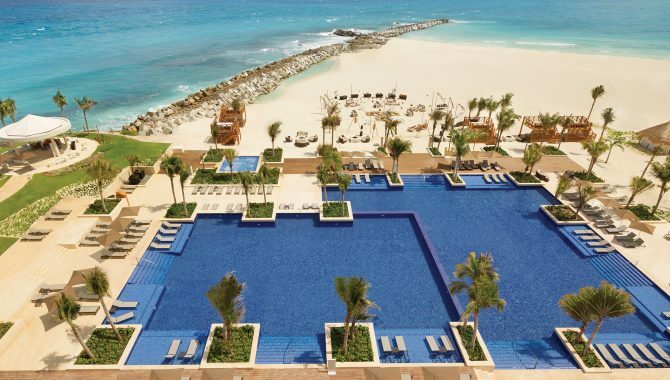 From the swim-up pool bars to cabana beds on the beach, there’s plenty of time for fun in the sun here. 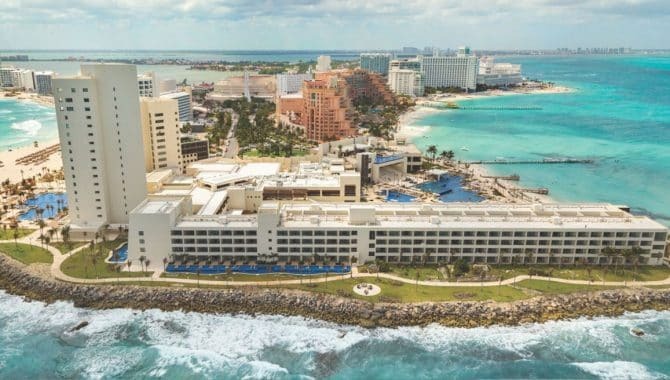 Make the most of the all-inclusive amenities, including six restaurants serving everything from Asian food to Mexican cuisine. 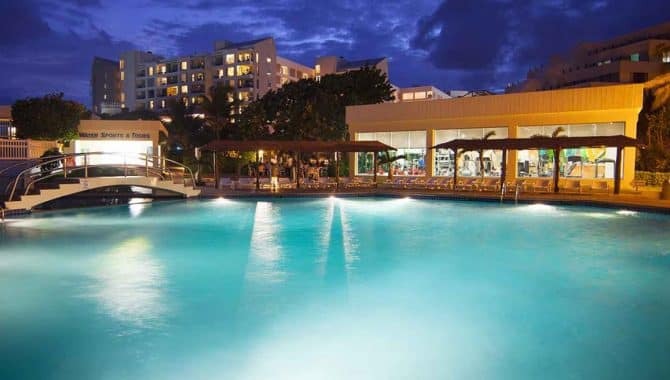 Among the other amenities, the resort also hosts nightly entertainment and other activities including a weekly foam party. 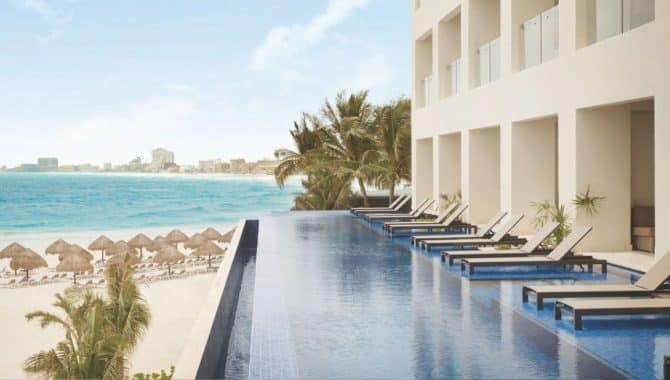 The Zen Spa, ocean-front infinity pool and fitness center here all exist so you have ultimate rejuvenation on your beach vacation to Mexico. 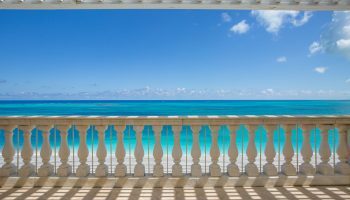 The rooms here are equally as refreshing, Colonial-style and each equipped with balconies overlooking the ocean. 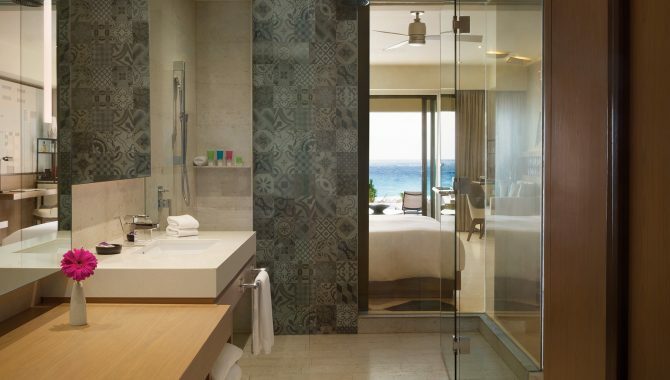 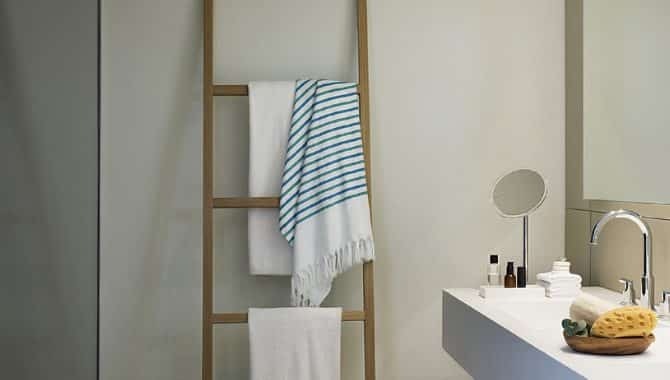 Luxury amenities include designer toiletries, whirlpool tubs and rainfall showerheads. 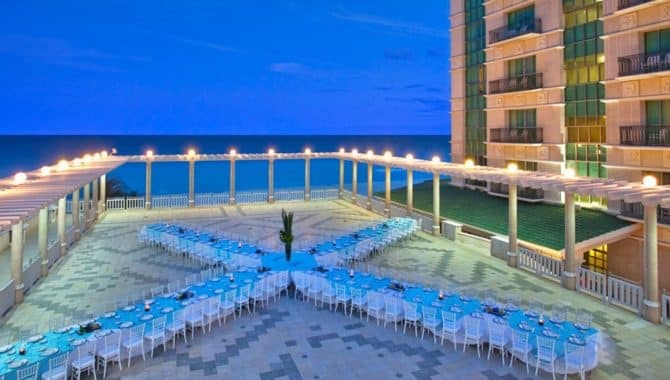 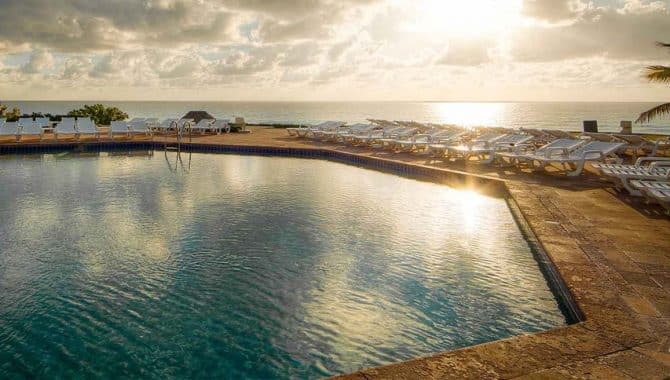 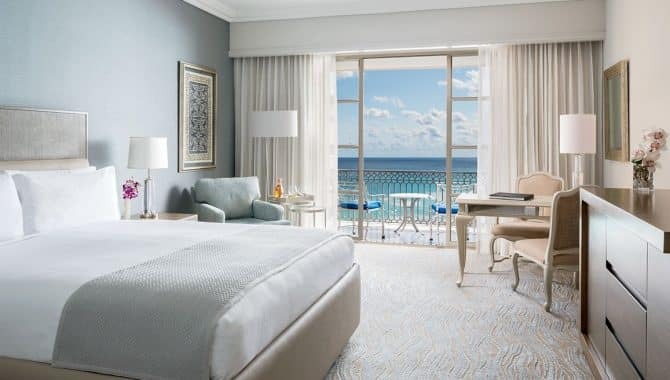 Nestled between the calm waters of the Nichupté Lagoon and the turquoise splendor of the Caribbean Sea, the recently renovated Park Royal Cancún offers a beachfront retreat with mesmerizing views and exciting activities for all ages. 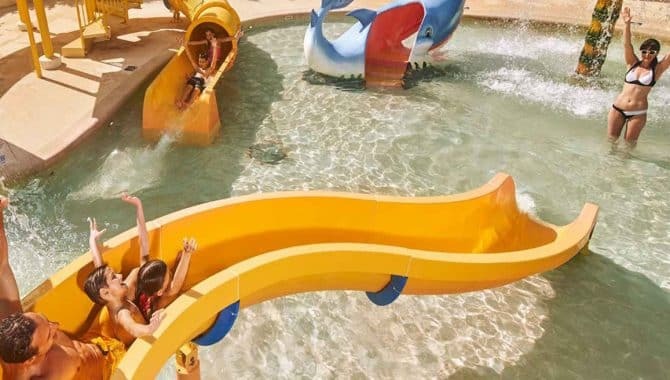 The Kids’ Beach and Pool program offers a fun water park, exciting crafts and plenty of age-appropriate games hosted by costume-clad entertainers. 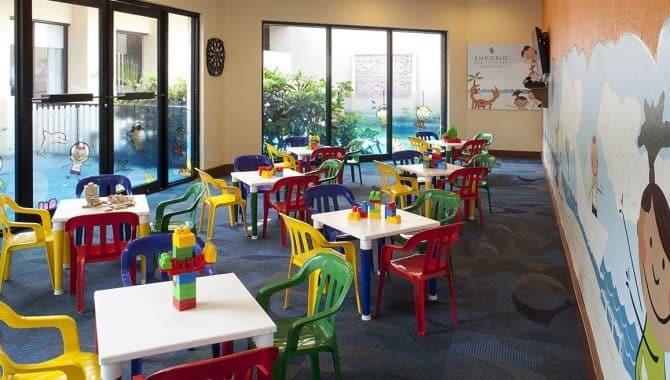 While the kids play, parents can enjoy drinks at three bars, lounge poolside or relax at the beach. 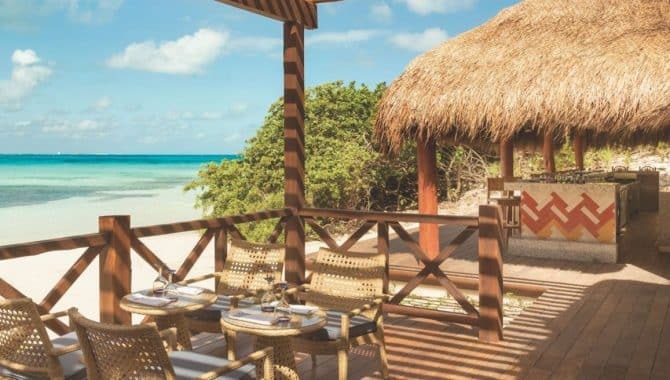 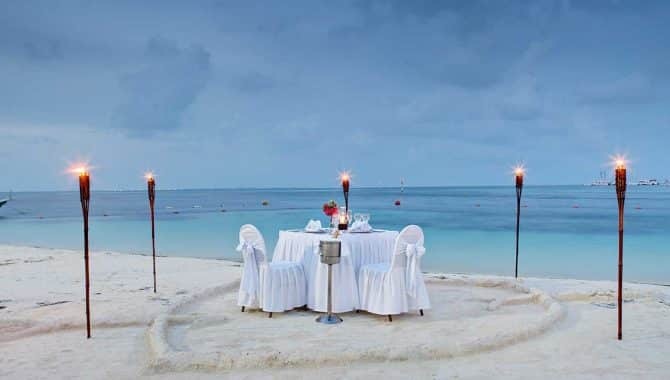 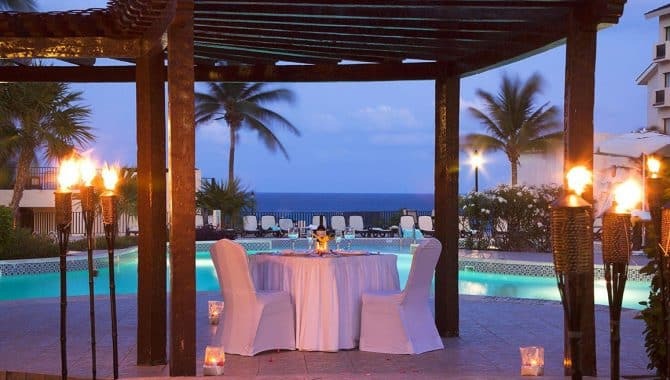 After utilizing the resort’s complimentary equipment to snorkel or kayak, visit El Mirador for a fine-dining, Italian meal or enjoy carefully-crafted Asian cuisine at El Oriental. 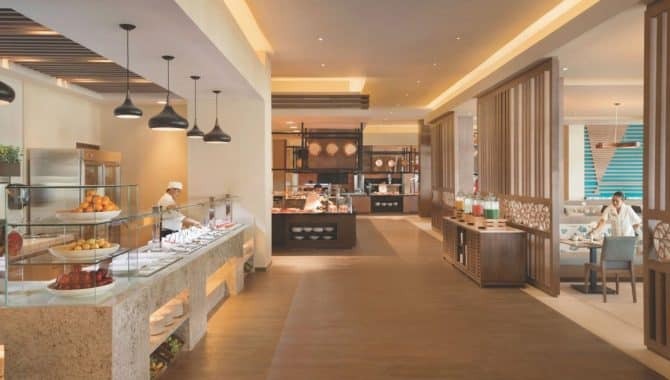 Alternatively, La Veranda offers a casual buffet setting for breakfast, lunch and dinner daily. 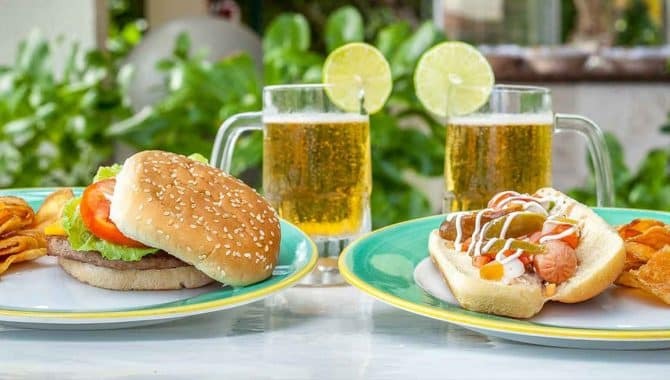 Throughout the day, grab a hot dog or burger at El Jardín snack bar. 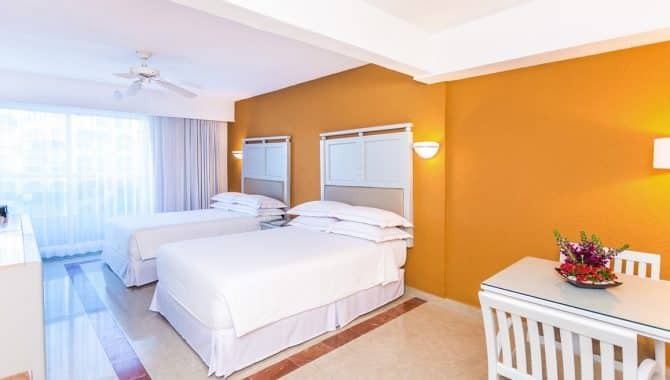 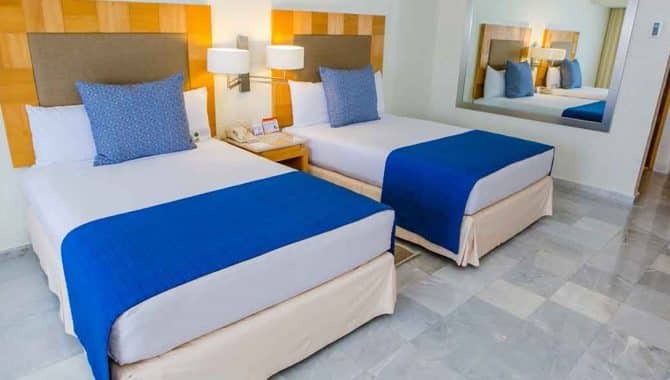 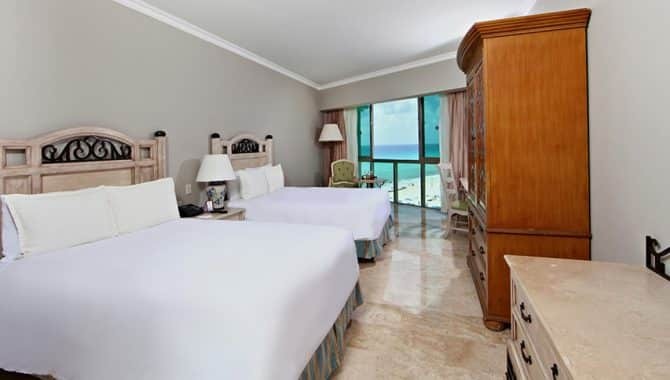 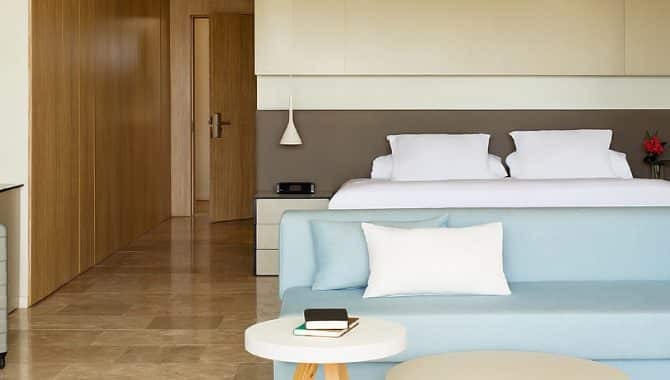 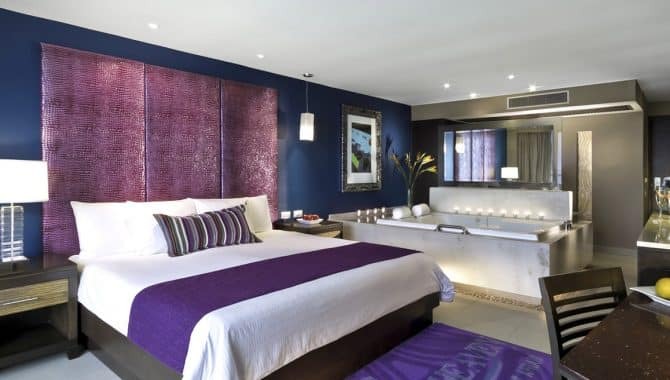 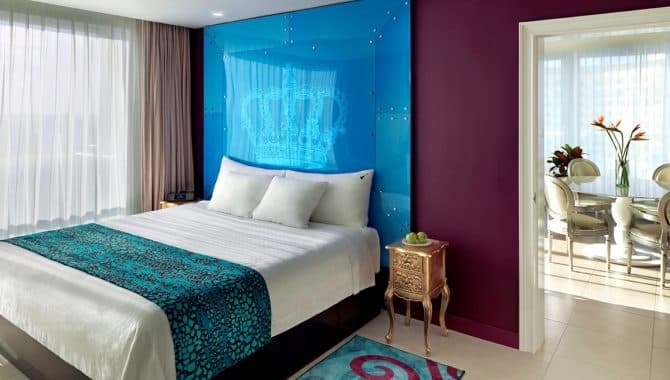 The Park Royal Cancún offers 288 guest rooms with the option of a standard room or deluxe suite. 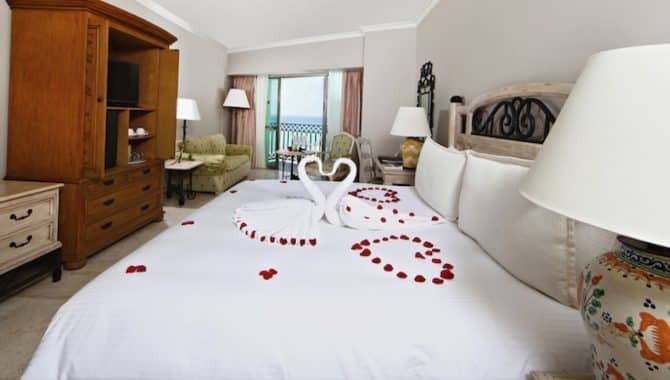 Both accommodations are fitted with double beds and marble floors, but the presidential suites offer the added bonus of a spacious living area and a hot tub on the private terrace. 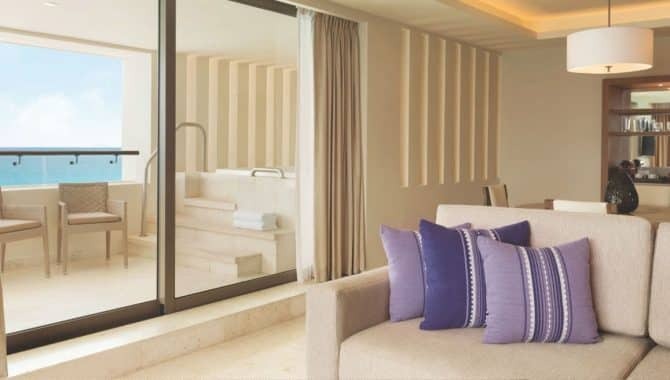 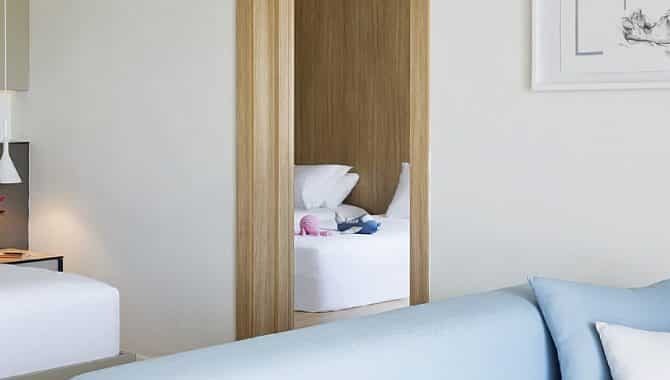 All rooms are also fitted with individual air conditioning controls. 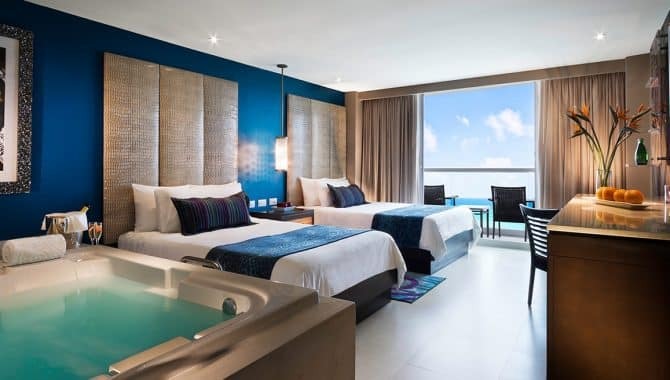 Get ready for all-inclusive luxury in Cancún’s popular Hotel Zone when you book your stay at the Sandos Lifestyle Resort. 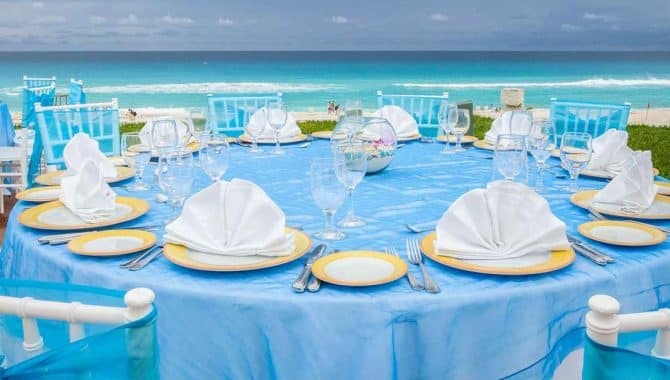 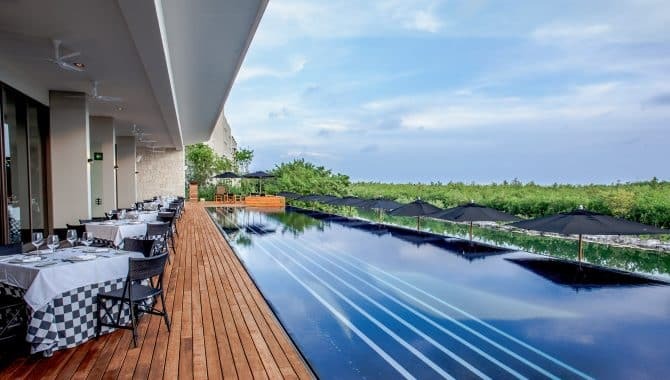 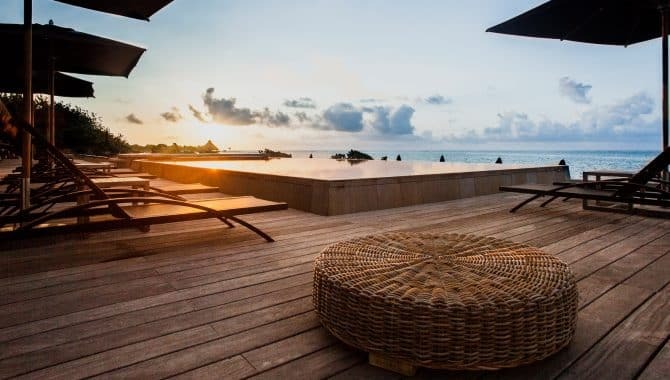 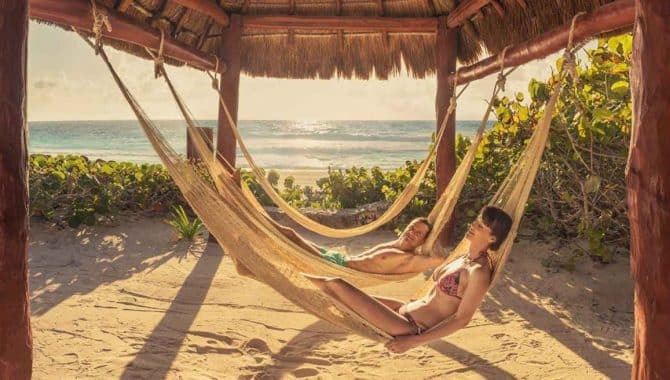 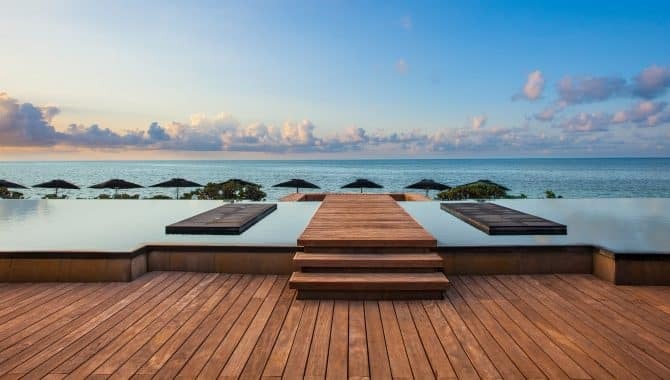 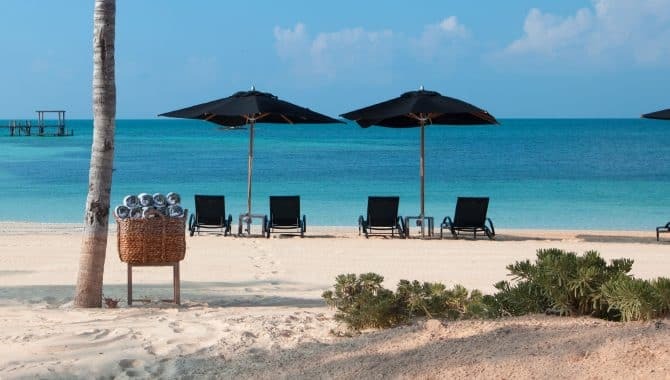 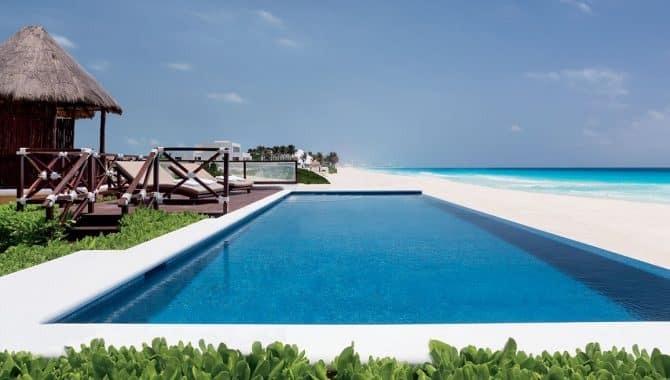 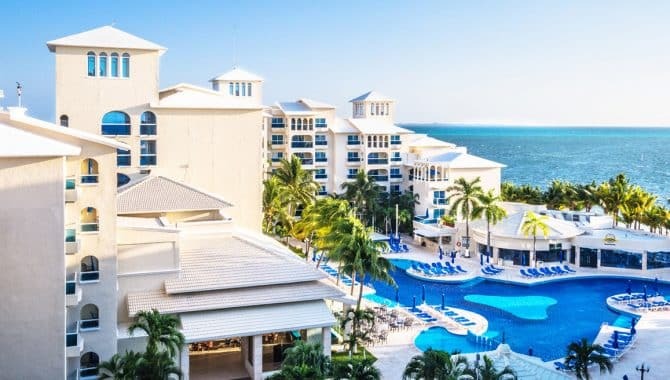 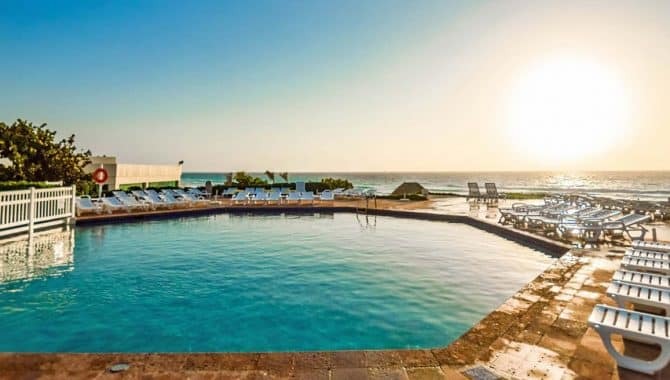 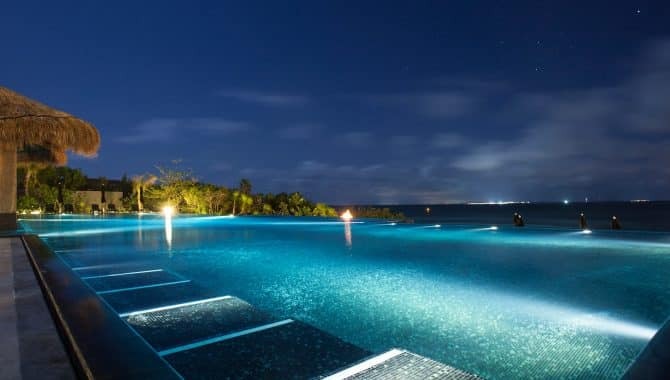 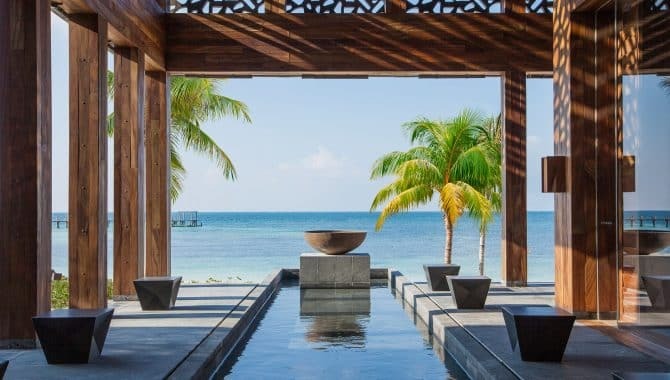 Guest should prepare for amazing features like three impressive swimming pools, top-of-the-line spa services and incredible food, not to mention access to a dazzling white-sand beach. 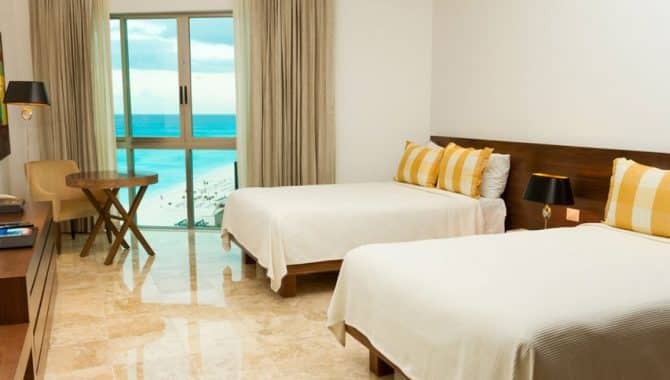 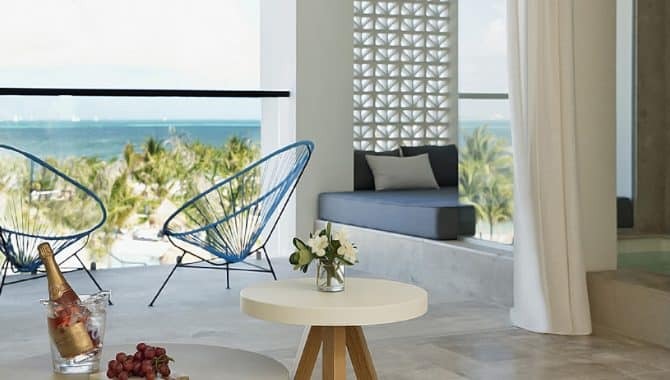 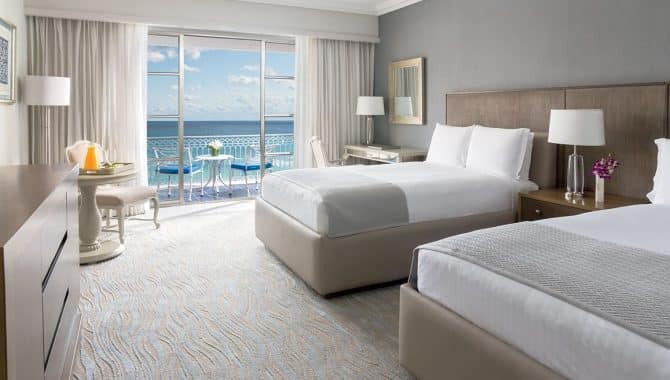 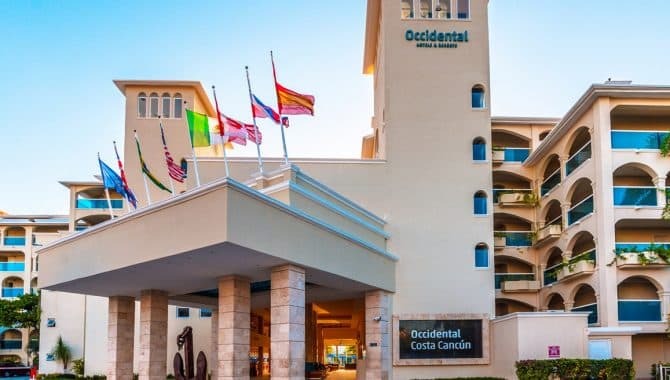 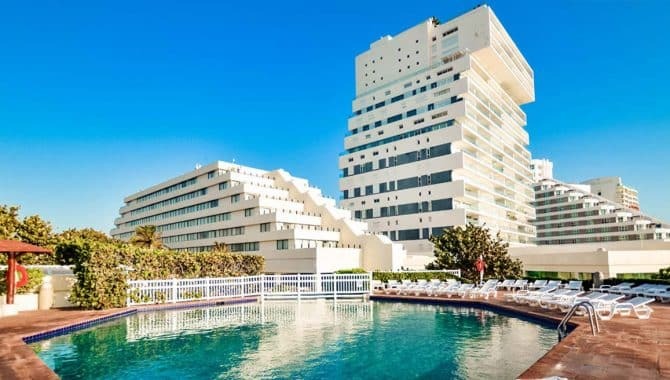 While only some rooms come with ocean-view balconies, all are equipped with standard amenities including 24-hour room service and flat-screen televisions. 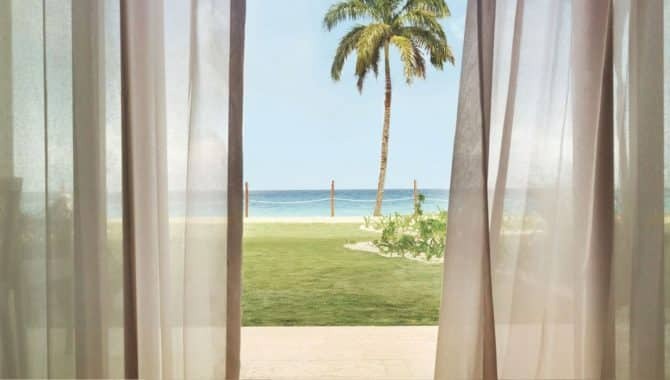 Bathrobes and slippers and are tastefully designed with beach-friendly touches to perfectly compliment your Mexico getaway. 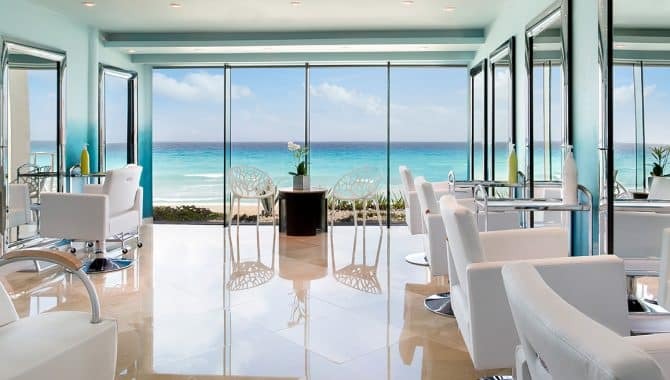 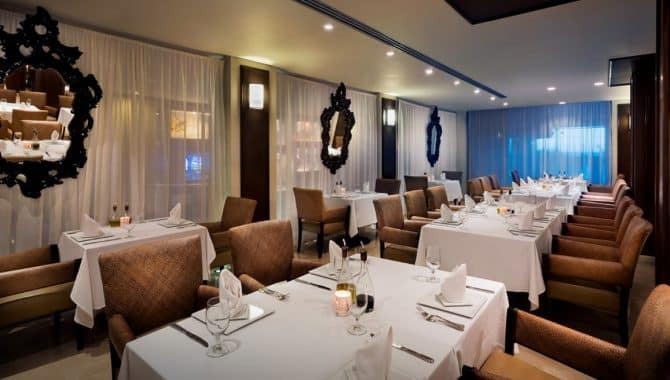 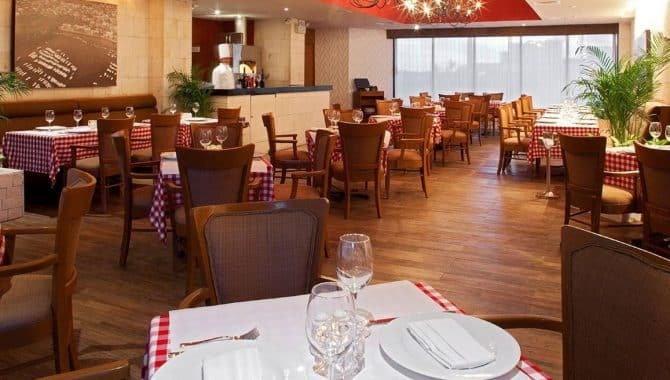 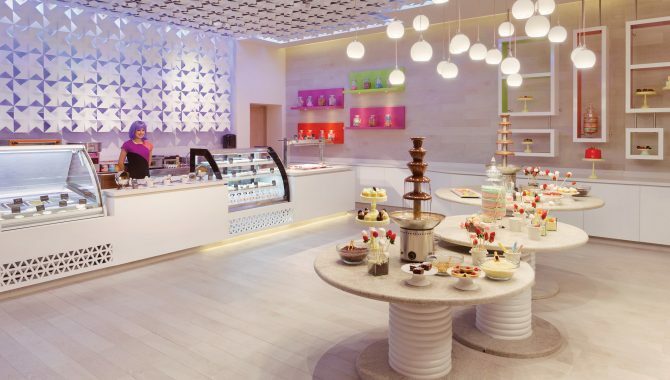 As for dining options, guests have superb options to choose from when they stay at Sandos. 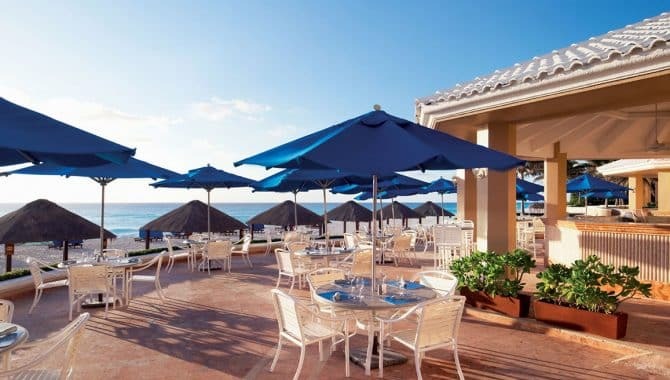 Many will start their day with a buffet-style breakfast at Zango, and casual lunch at St. Trop has a spectacular ocean view. 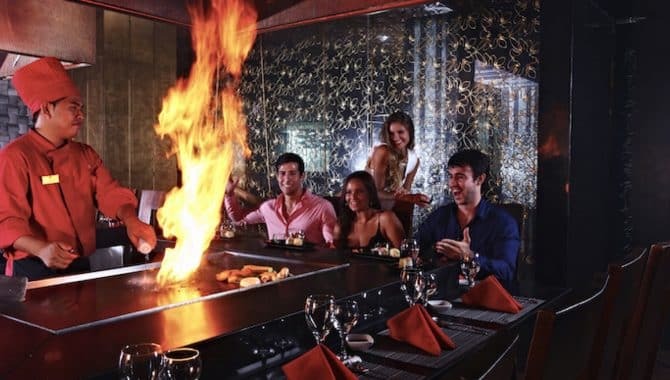 For dinner, there are unique and upscale offerings for all occasions, including Italian at Frattini’s, steakhouse fare at Seasons and teppanyaki-style Japanese cuisine—where the chef expertly and amusingly prepares your food right in front of you—at Gaijin. 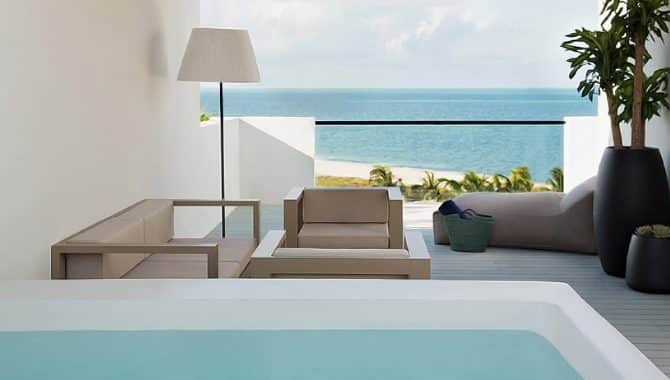 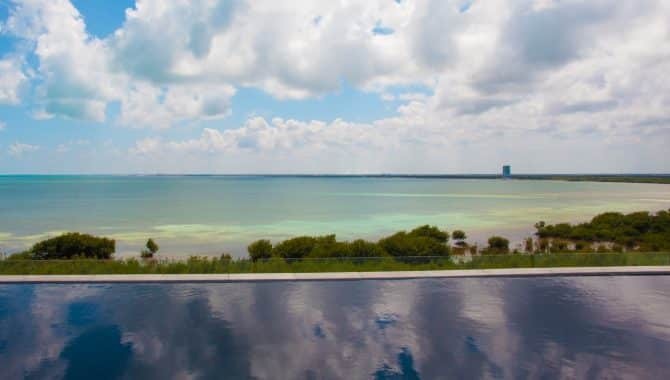 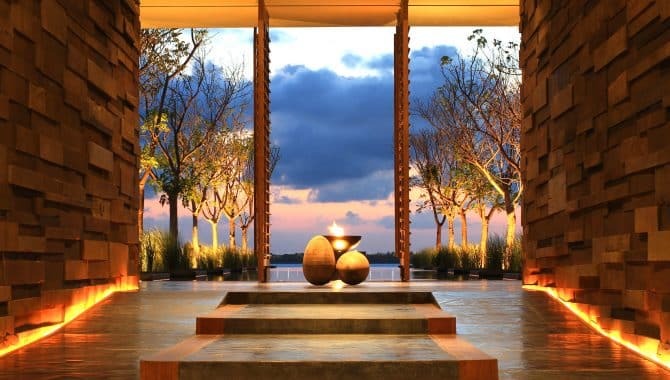 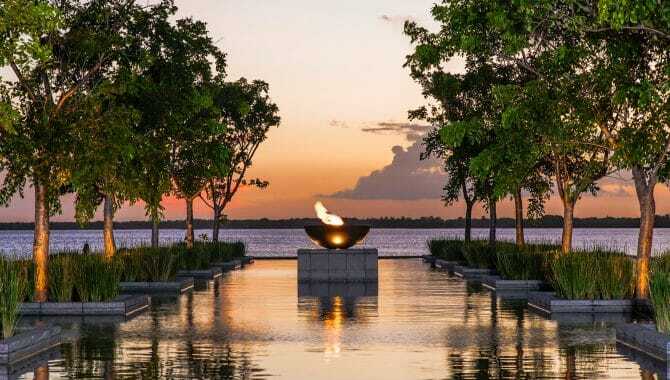 Plan your stay with the NIZUC Resort & Spa and expect a quieter alternative to some of Cancún’s more boisterous family resorts. 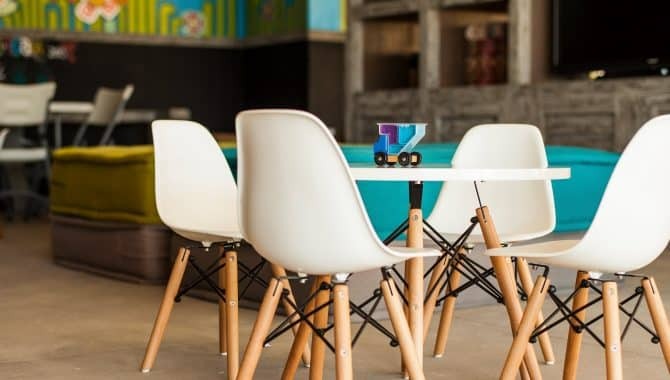 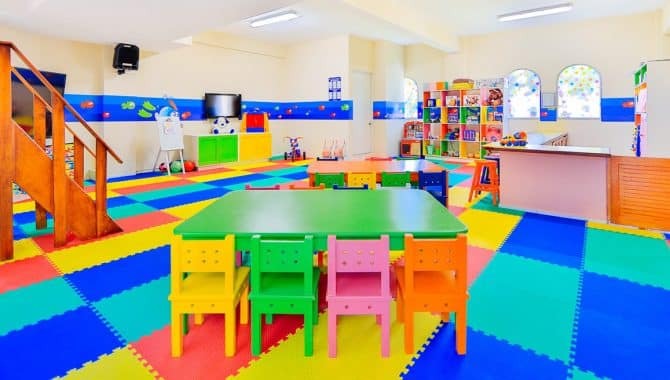 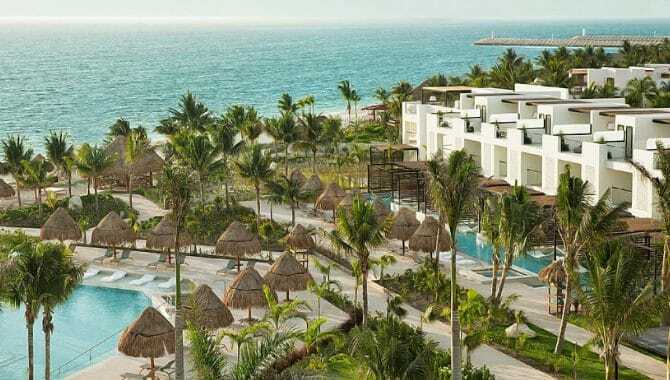 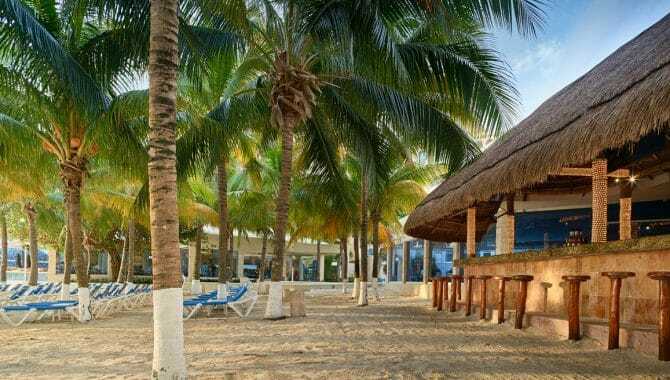 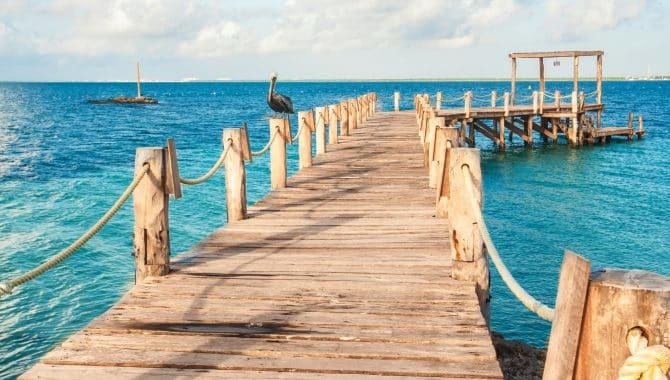 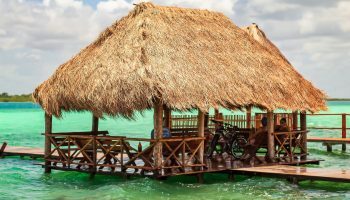 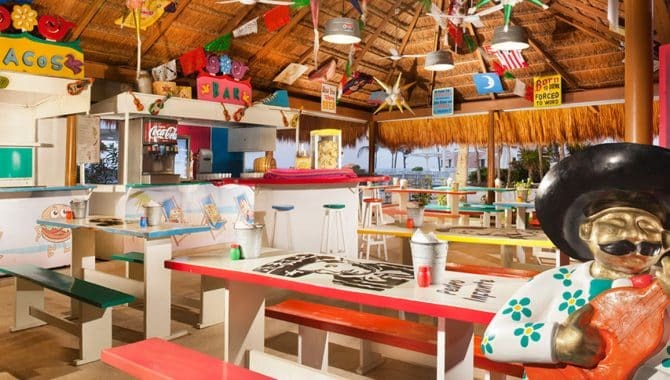 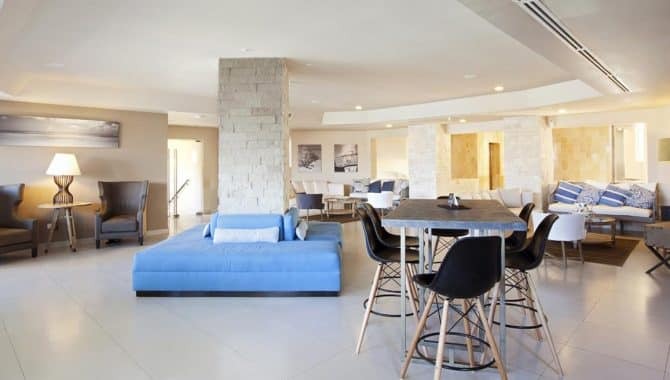 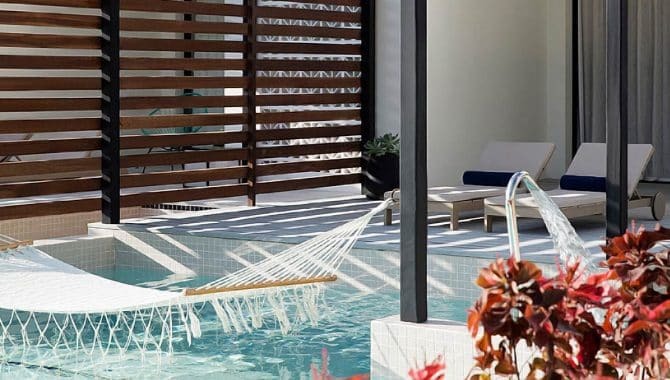 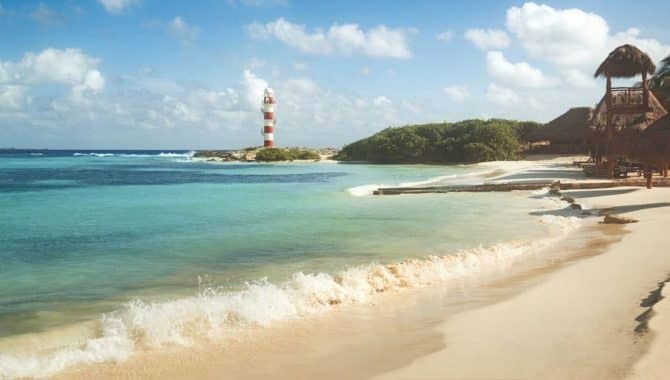 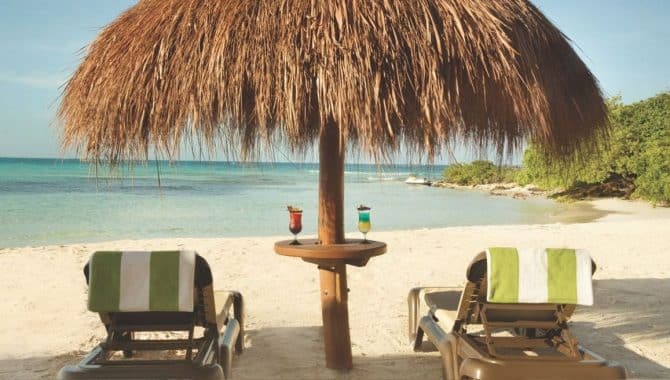 While this luxury property is still very family friendly—there’s a kids club, after all—the low key vibe and location far from many of Cancún’s main tourist attractions mean that the clientele largely consists of couples and small friend groups. 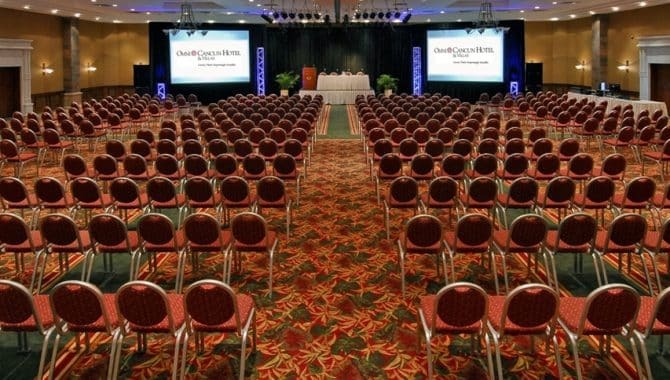 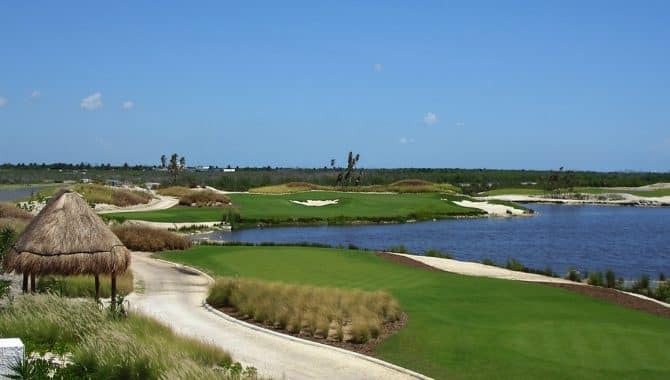 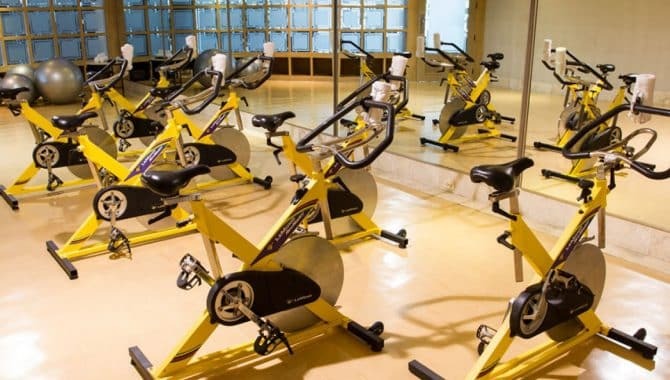 There are plenty of on-site amenities for guests to enjoy. 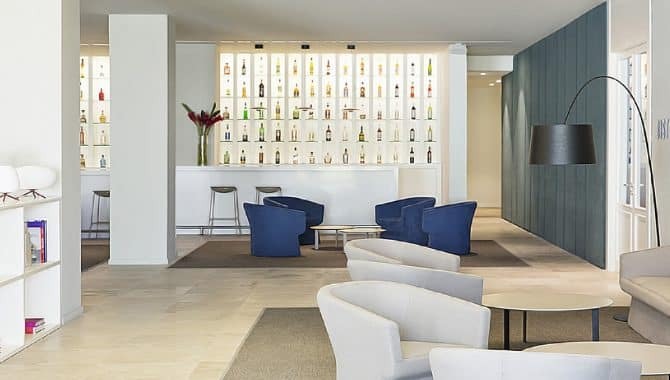 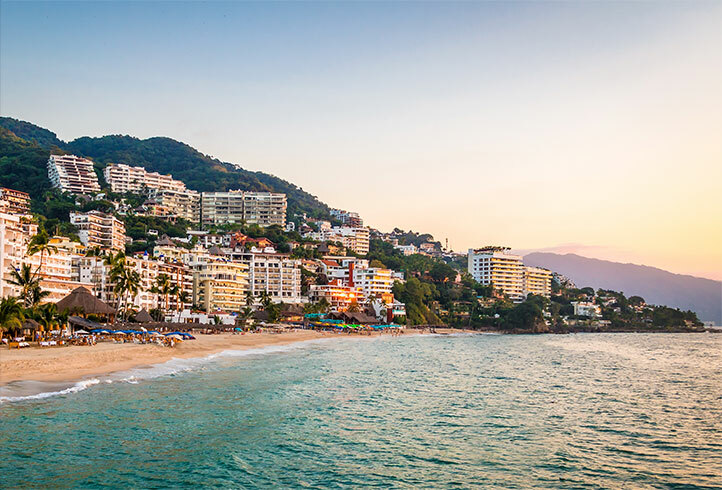 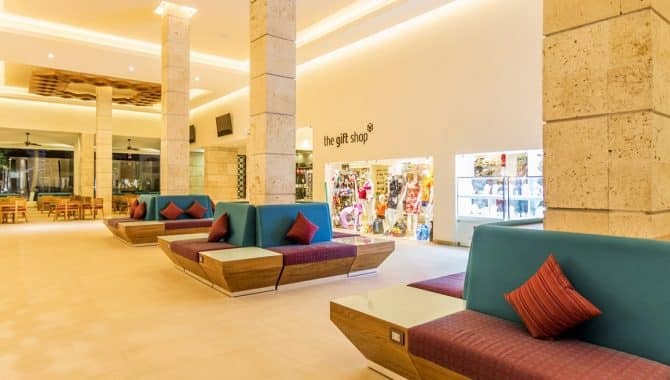 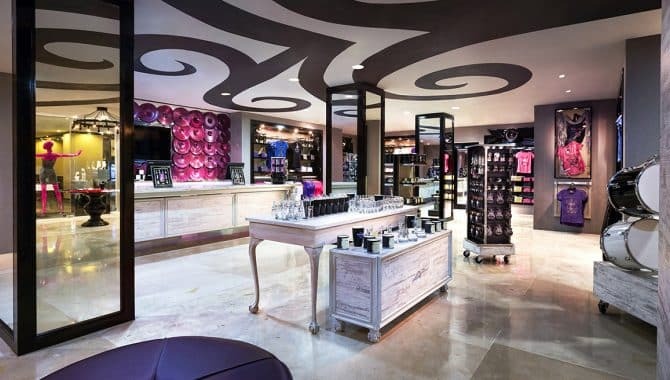 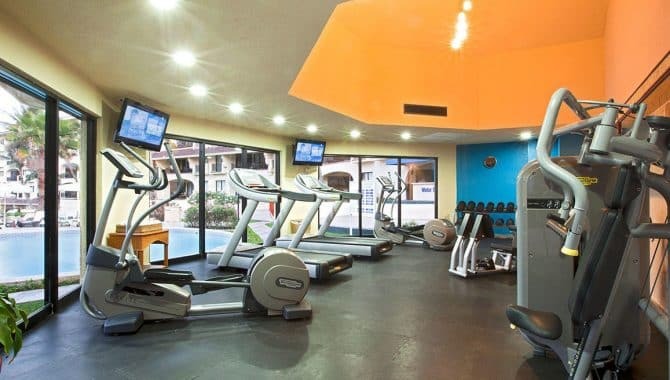 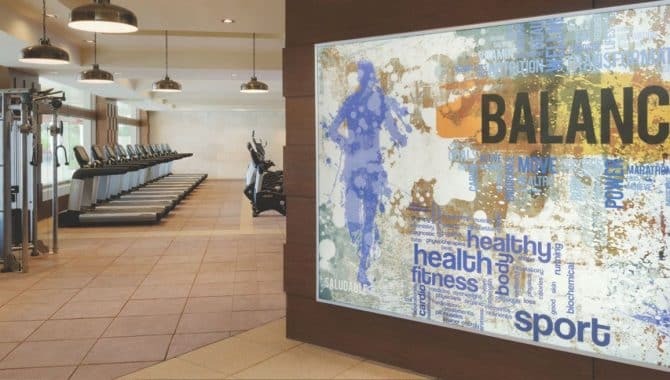 In addition to the wonderful spa and beach and watersports access, guests will find a boutique, beauty salon and world-class fitness center on premises. 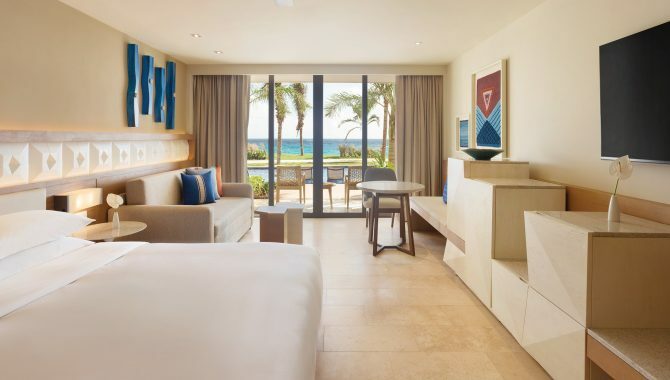 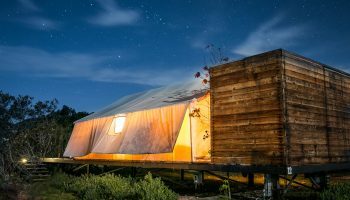 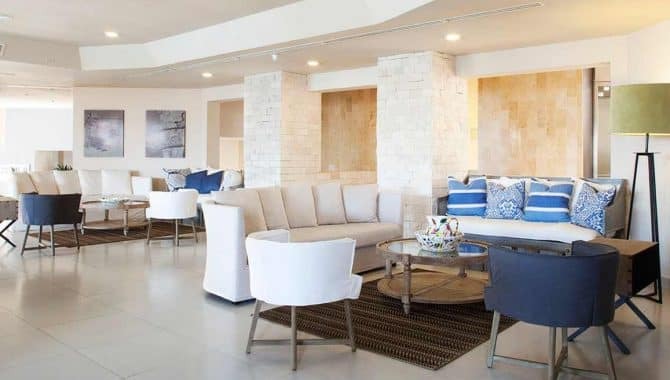 The rooms don’t disappoint either, with even the lowest-tiered suites offering private outdoor space and amenities like beach bags and soaking tubs. 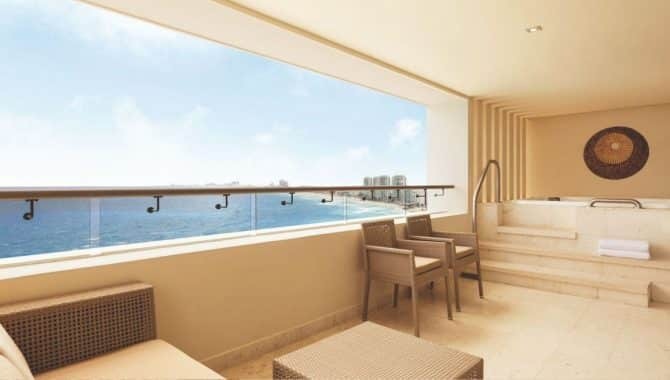 Other optional features and upgrades include private pools, outdoor showers and balconies. 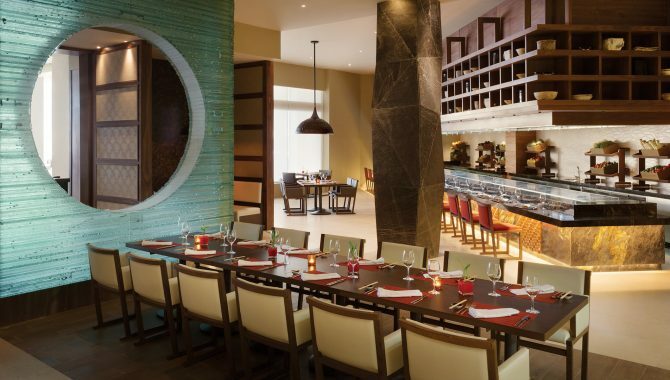 Dining options are impressive, offering tastes from around the globe. 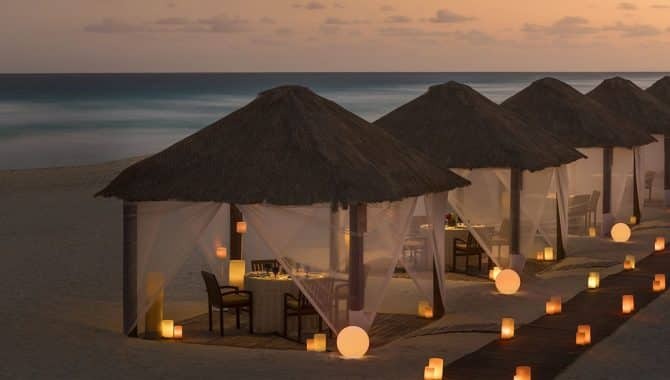 There’s excellent Peruvian cuisine at Ni, delectable and authentic Mexican at Ramona, locally-caught seafood in a romantic outdoor setting at La Punta Grille and Lounge, a taste of the Mediterranean at Terra Nostra and upscale Asian at Indochine. 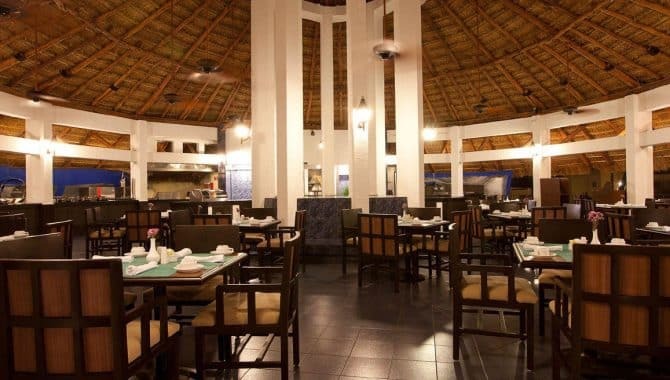 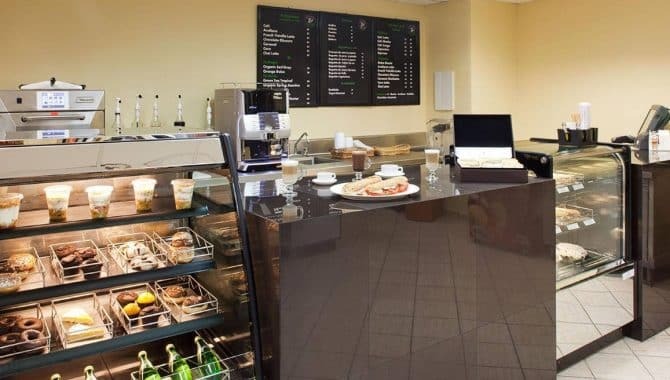 For those who can’t decide, all day restaurant Cafe de la Playa offers buffet items and a small menu of a la carte options. 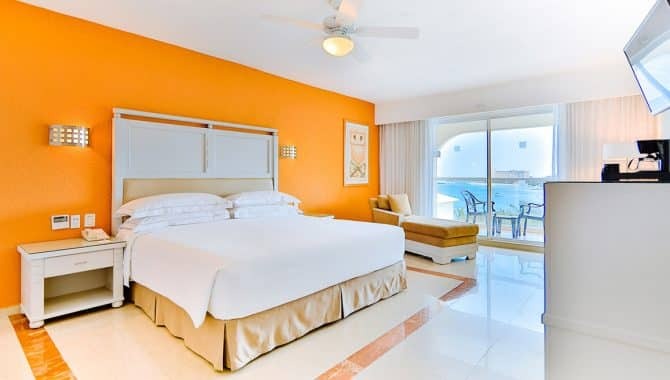 The beautiful, salmon-colored Omni sits gracefully astride a gorgeous white-sand beach. 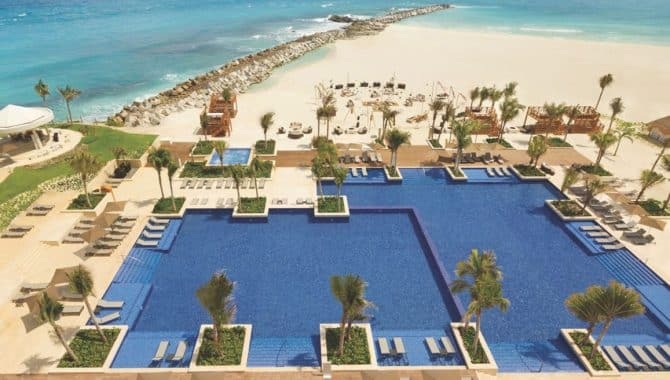 The main structure fans out on both sides, stepping down like a pyramid to the villas and surrounding the three-tiered pool on three sides. 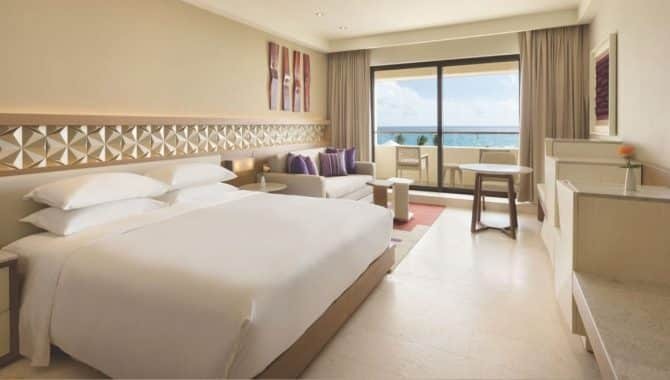 Although the Omni is a well-established resort in Cancún, recent renovations have kept it modern and up to date. 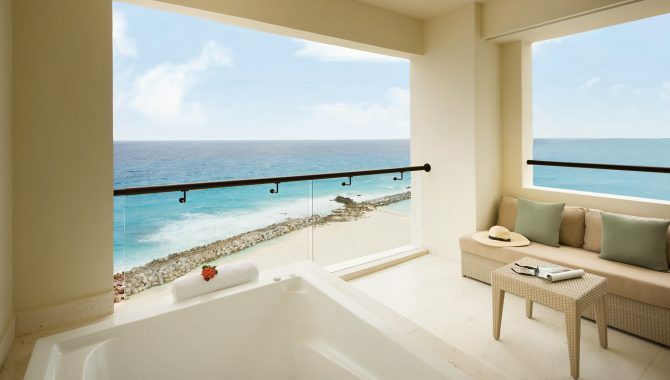 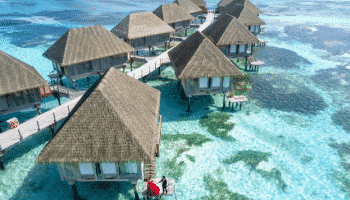 Accommodations—346 in all—are divided between guest rooms and villas. 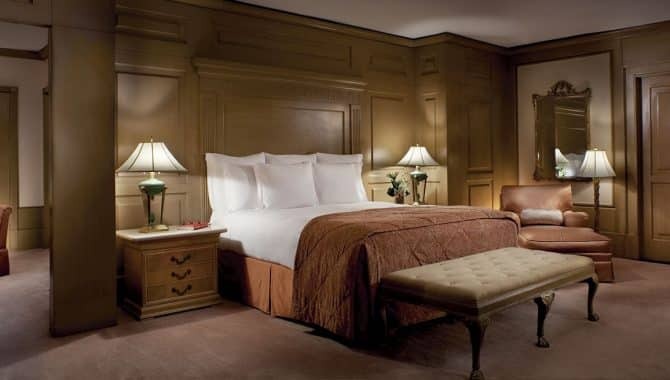 Rooms come in four categories: deluxe rooms, premier rooms, executive suites and presidential suites. 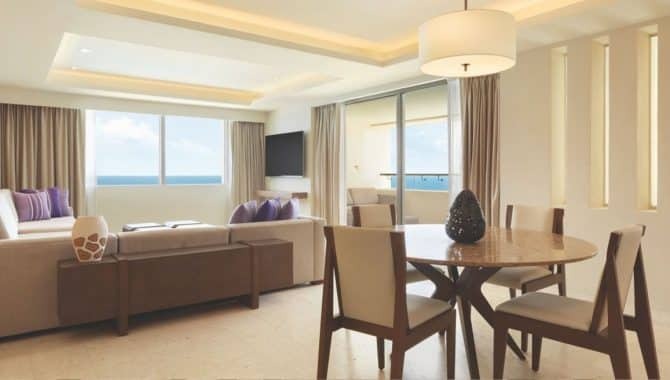 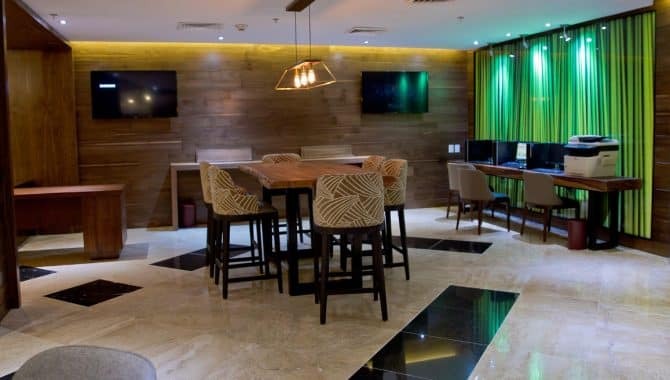 The presidential suites, located on the top floor, encompass an enormous 2,335 square feet of floor space and include a full living and dining room, kitchen, guest bathroom, Jacuzzi, balcony and rooftop terrace. 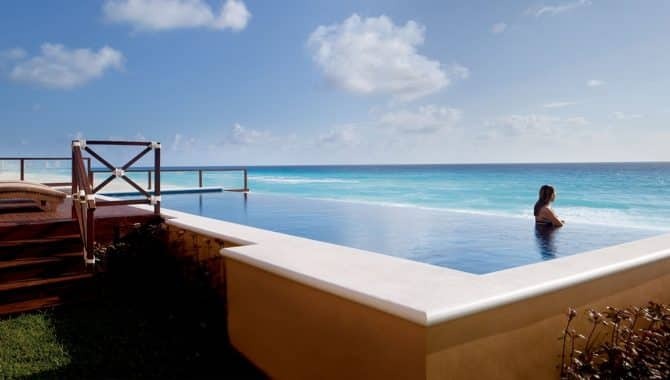 The 2,000-square-foot, three-story, three-bedroom villas are close to the pool area. 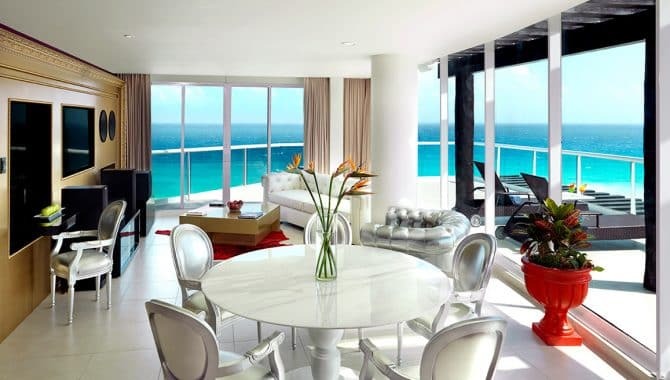 They include a full kitchen, dining room, sunken living room, balcony and jetted tub. 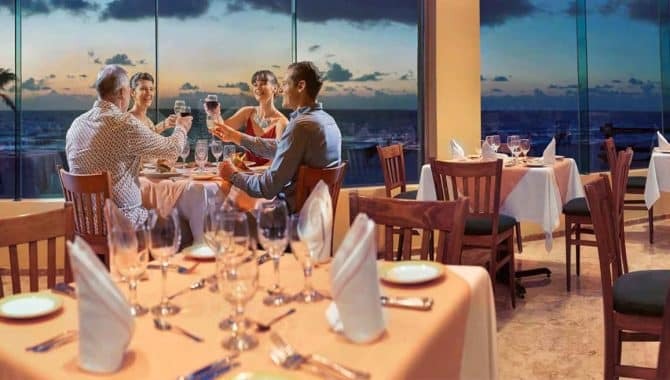 All-inclusive dining at Omni means that all meals in the hotel’s restaurants, as well as room service and unlimited drinks, are included. 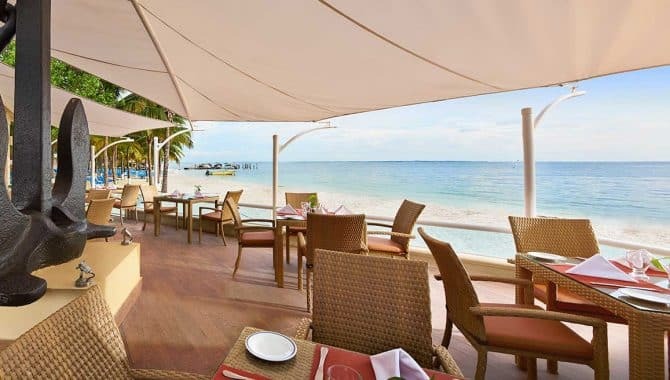 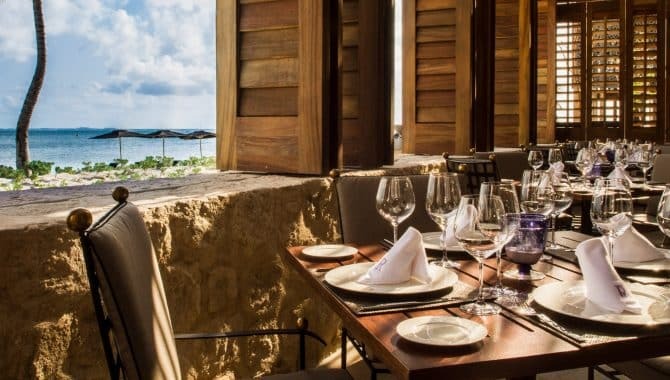 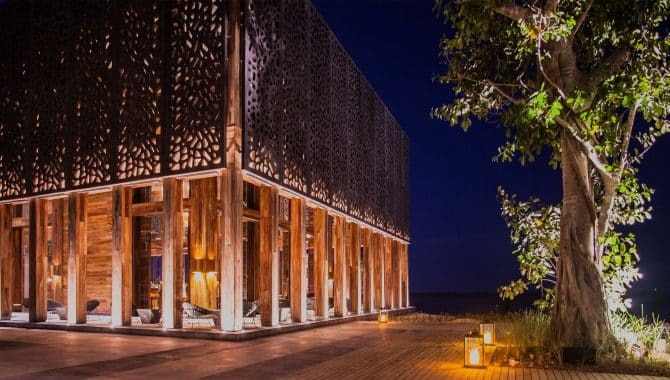 Seven different restaurants offer guests diverse fare: Mexican, Italian, Asian, Indonesian, American and barbecue; all with a breathtaking view of the sea. 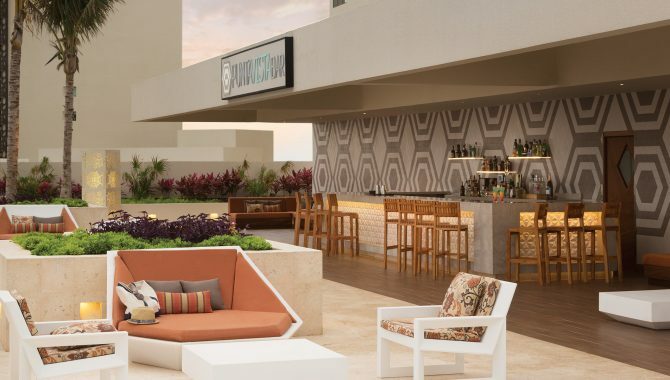 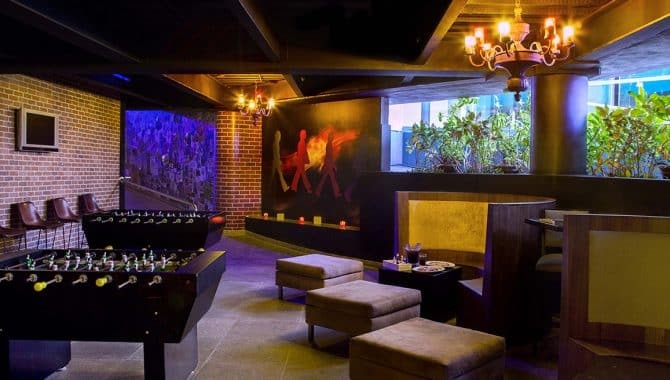 Bars include a sushi bar, beach bar, lobby bar and poolside bar.